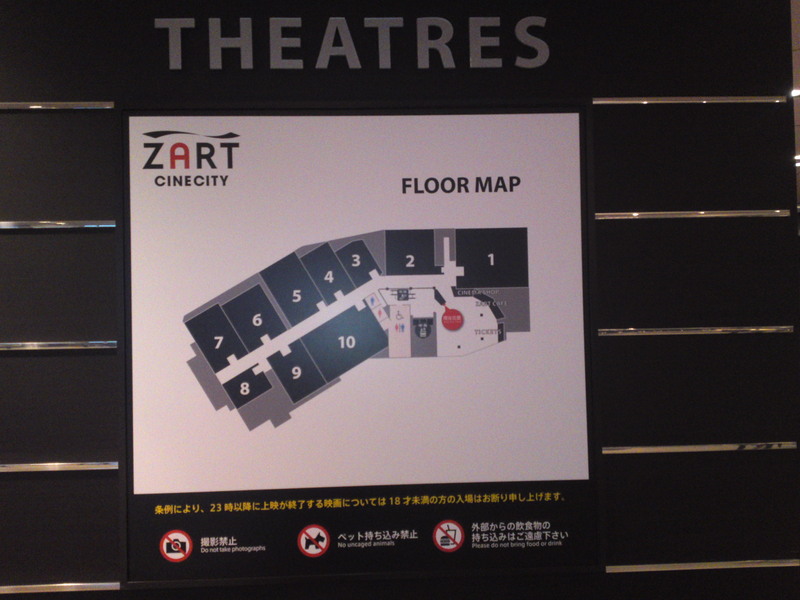 ZART CINE CITY is located on the 9th floor of Cenova Department Store. 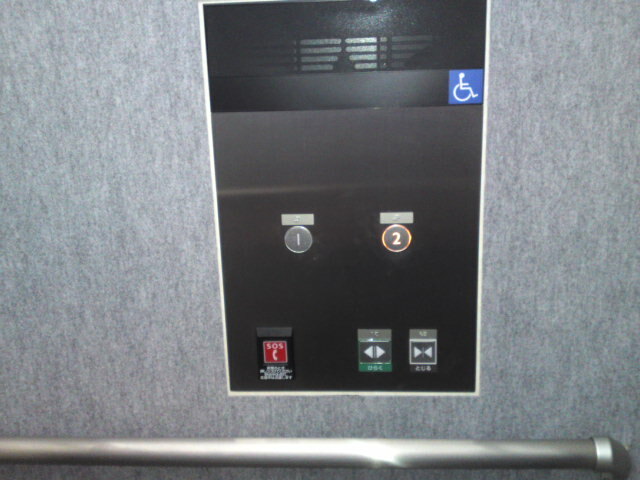 The elevator is equipped for wheelchair visitors. 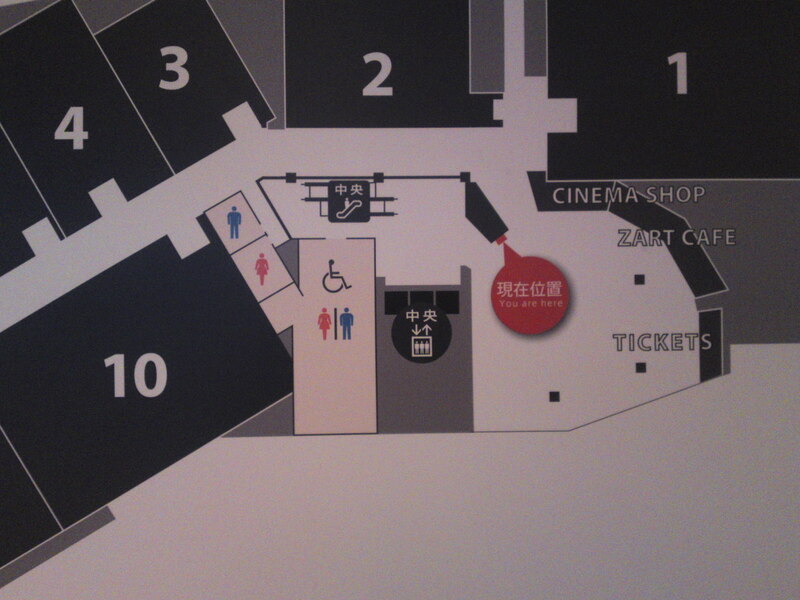 The wheelchair washroom is actually inside the movie alley for quick access from the different cinemas. 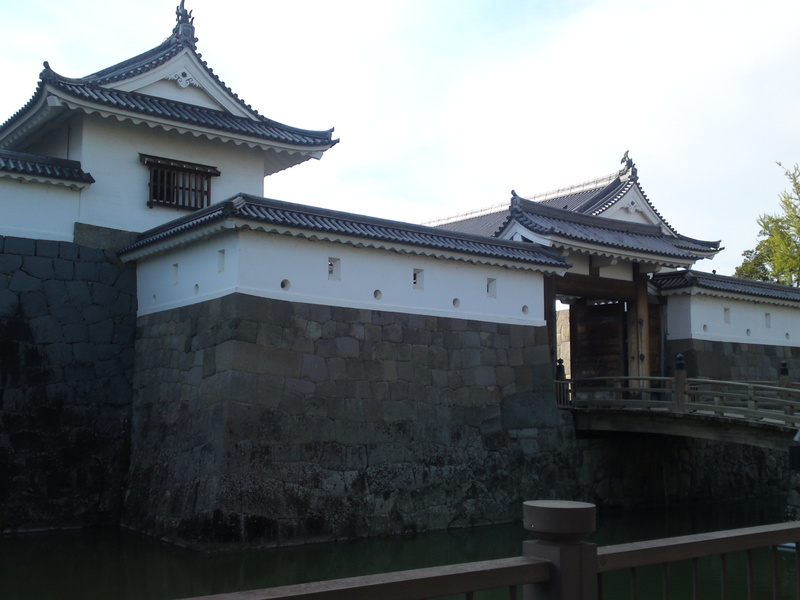 Created in 1886, it spreads over 34.000 square meters. 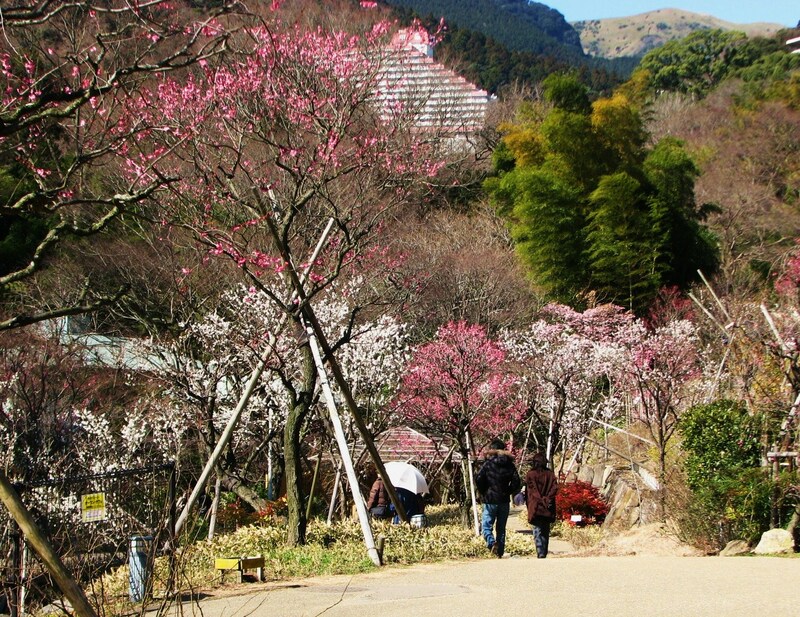 The best season to admire the 730 trees in blooms is from December to March. 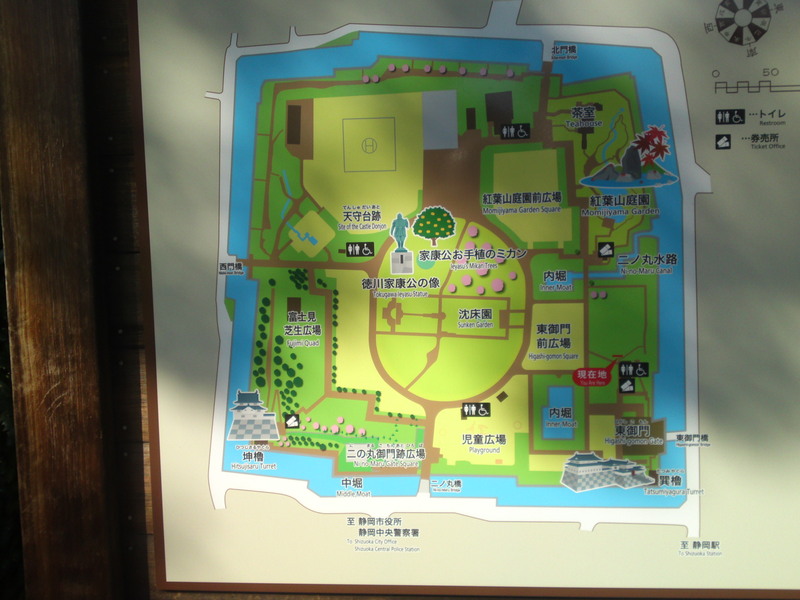 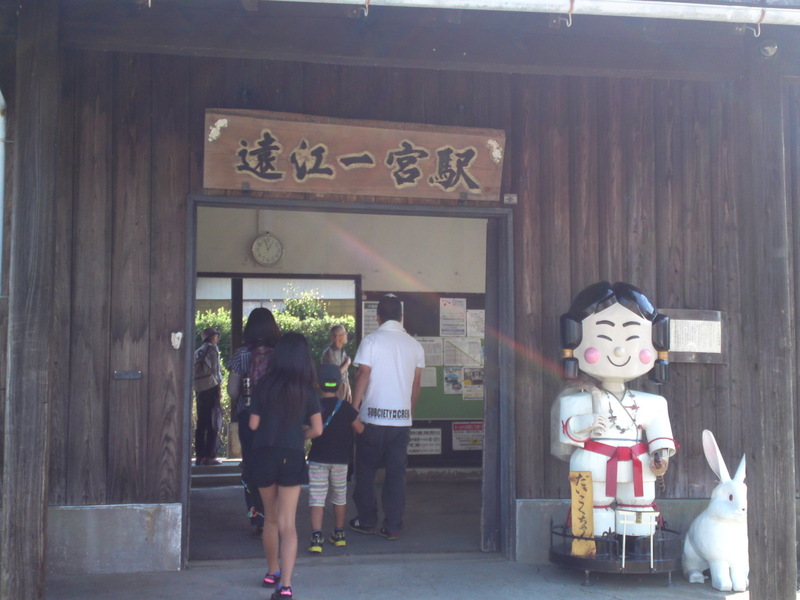 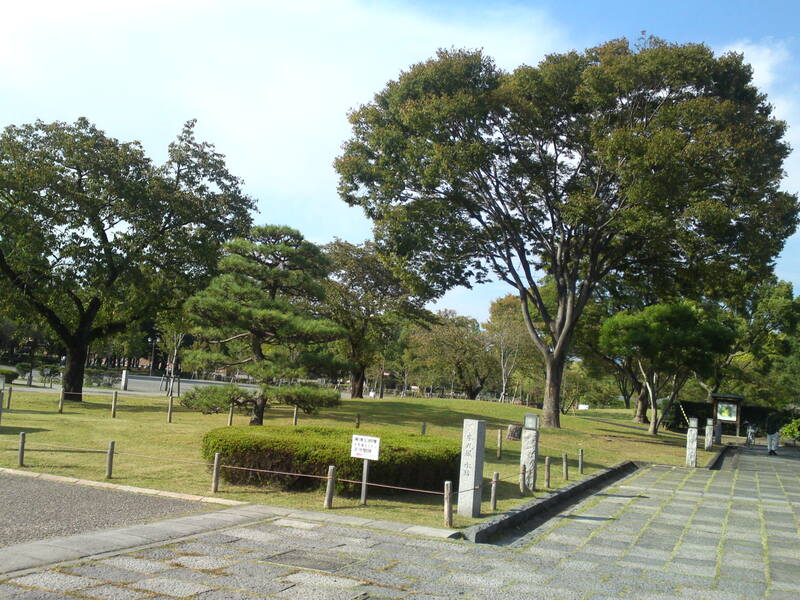 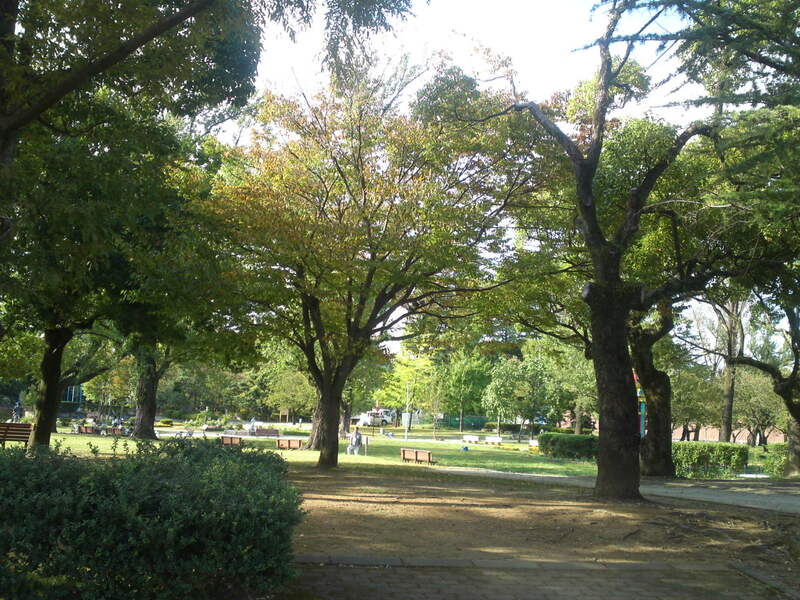 The Sunpu Park in central Shizuoka City is a popular park with the Shizuoka Castle, museum, tea-ceremony hall and many trees and plants. 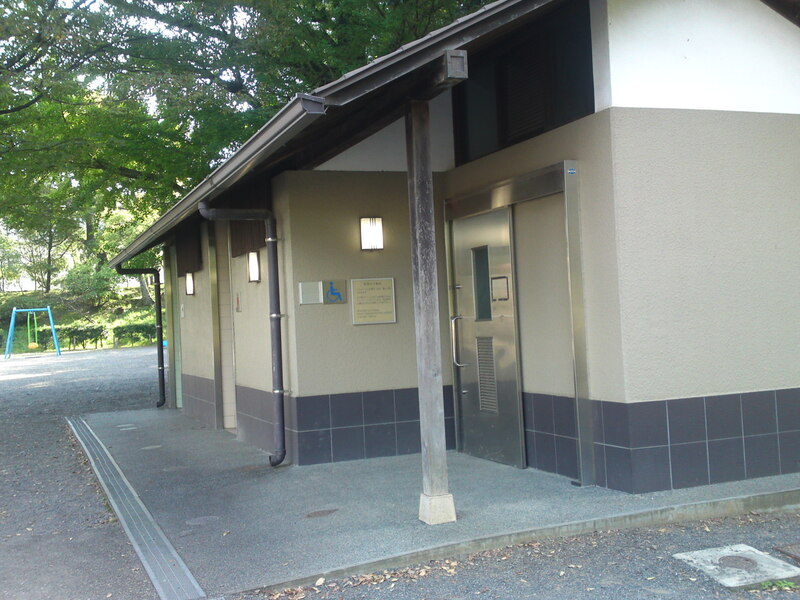 It is open all year round but partly closed at night. 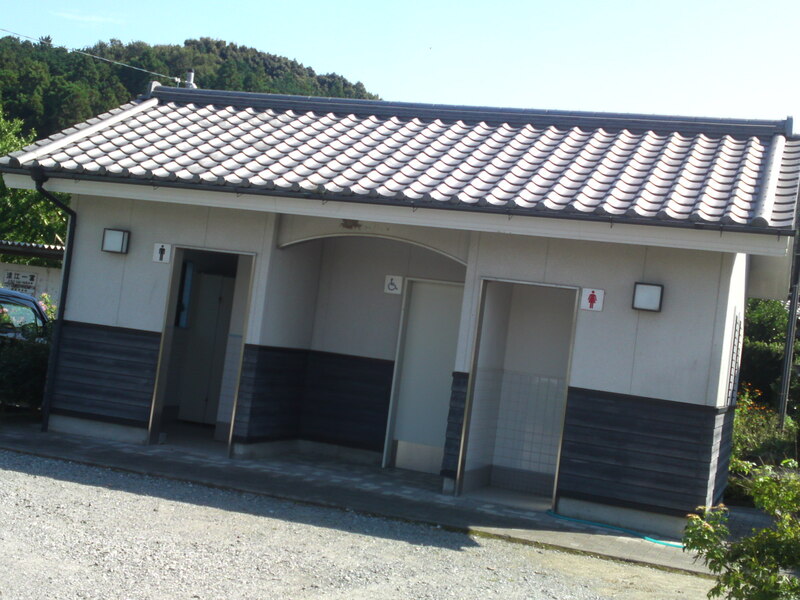 It has no less than 4 full facilities. 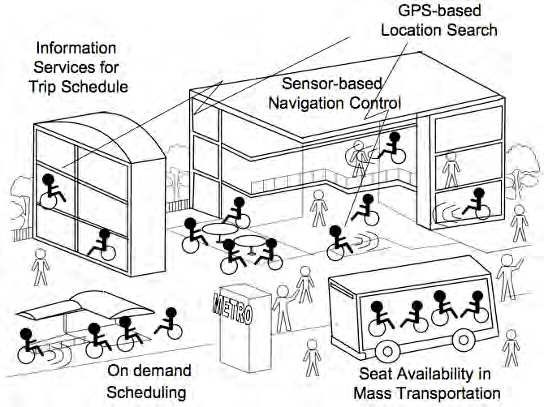 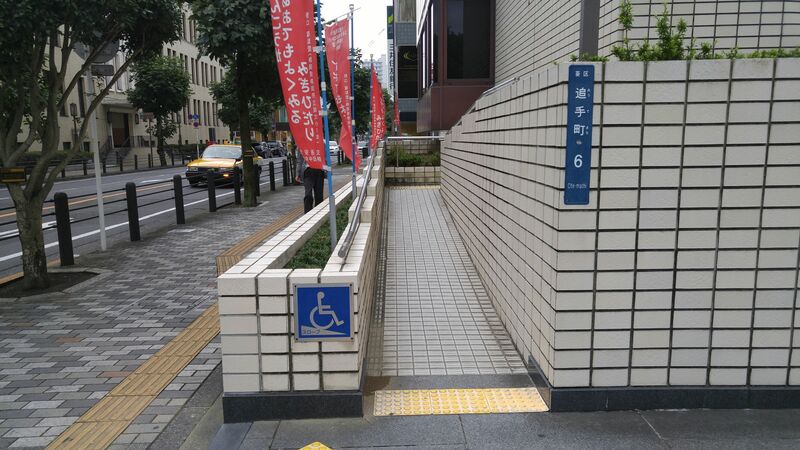 Whereas a great (but not sufficient yet) progress has been achieved in government buildings, urban development such as wheelchair equipped public toilets and general accessibility in streets, on pavements, and so forth is either poor or completely absent. 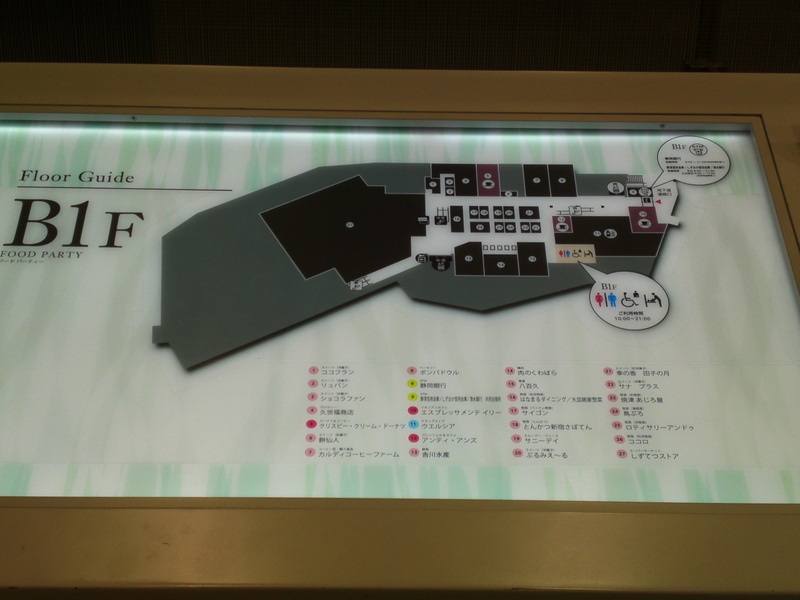 We will try to investigate and see what is actually available so far. 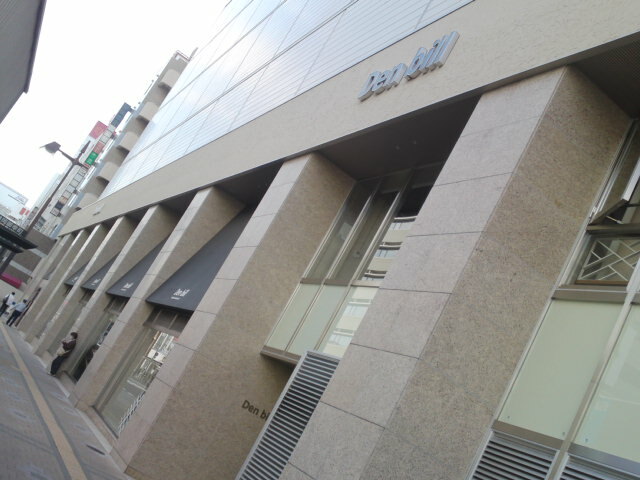 This street is probably the most important street in the Aoi ward (north of Shizuoka JR Station as it regulary holds all kinds of events. 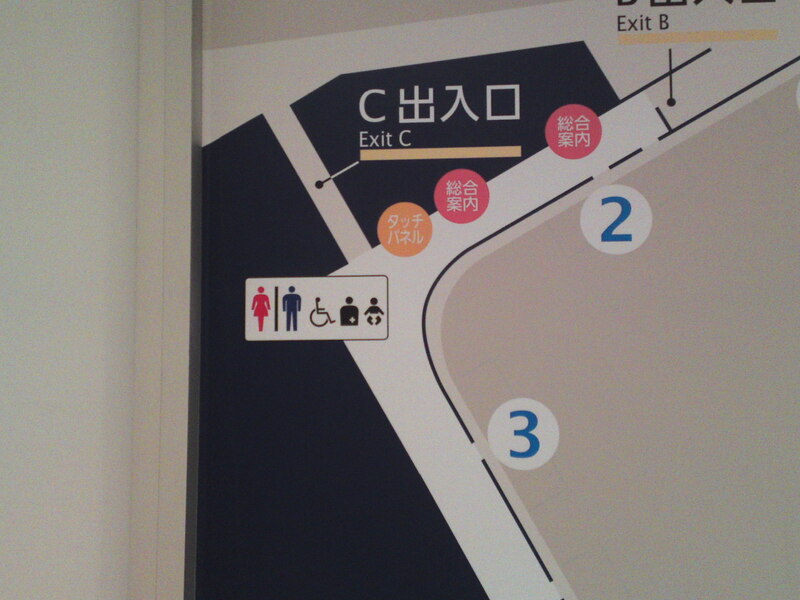 Unfortunately there is only one wheelchair-equipped public toilets for the whole area. 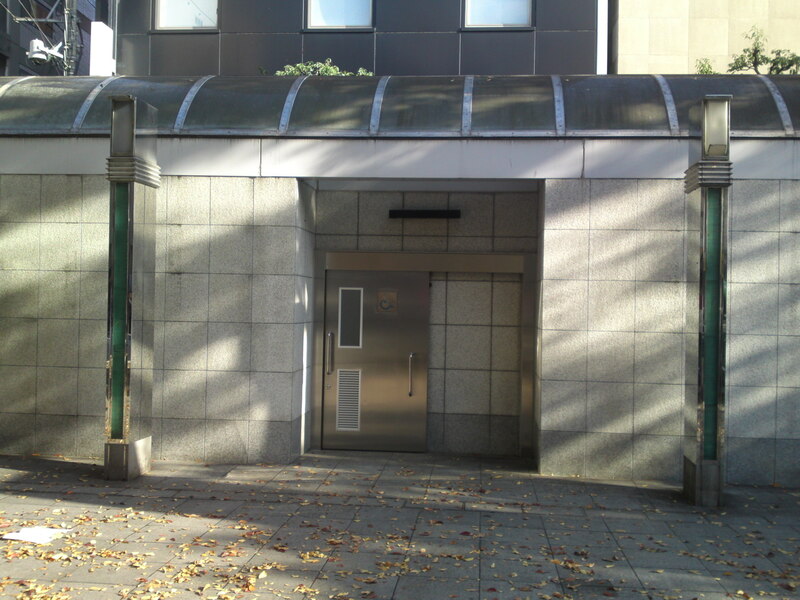 Moreover the last time I investigated it (November 10th, 2014) it was unclean and uncleaned. 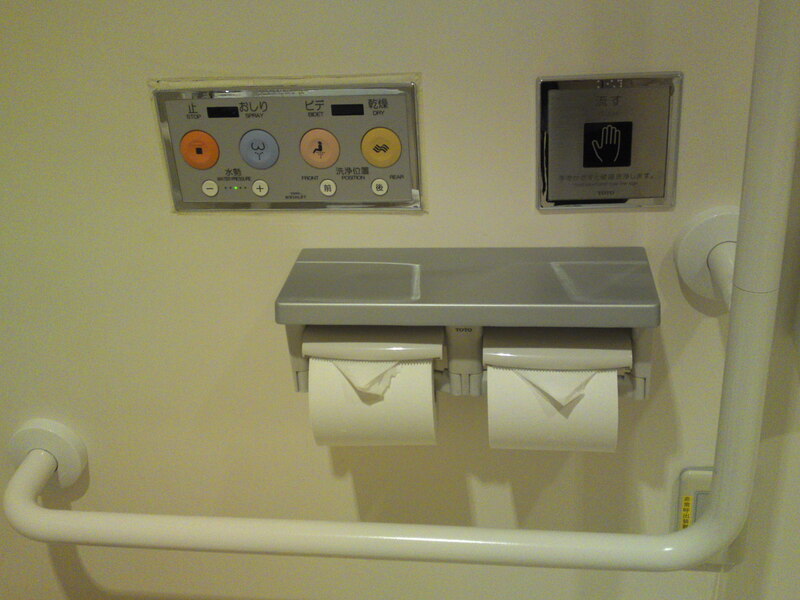 Make sure you carry toilet paper and wet tissues with you before entering it! 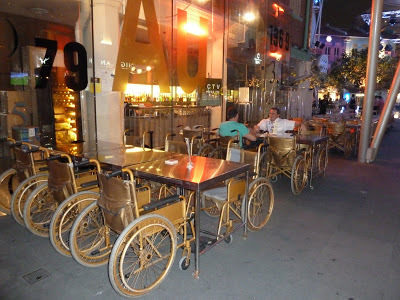 This guide is being conceived for disabled guests and tourists whatever their nationality who wish to enjoy their food and drinks in a friendly and barrier-free environment with a minimum of fuss. 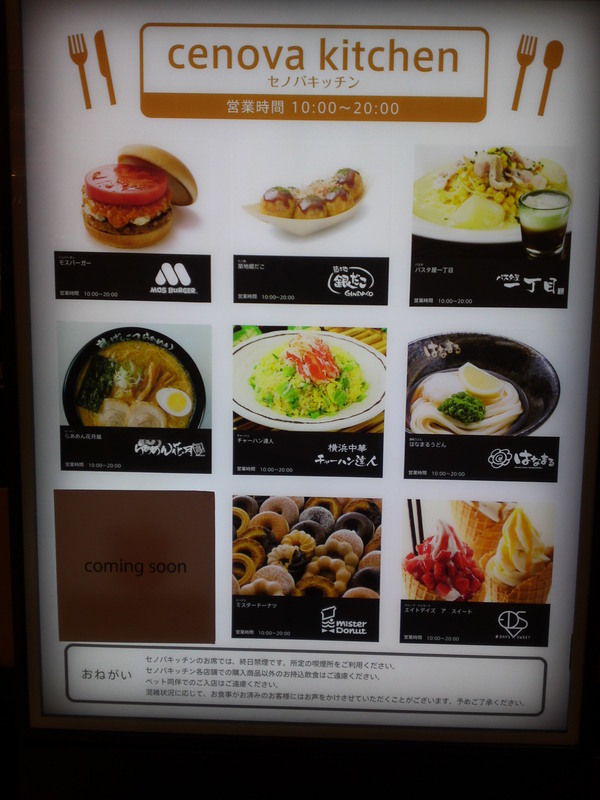 Note that the restaurants herein indicated will be under constant investigation and the list is bound to be constantly updated. 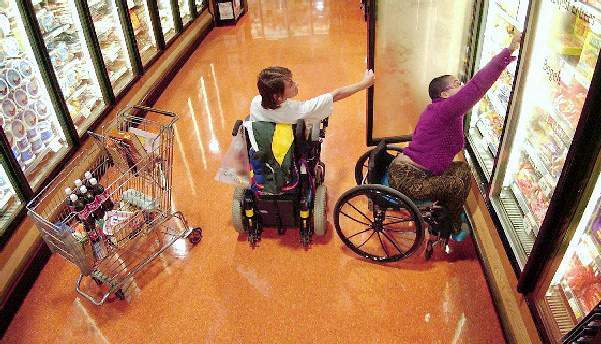 Also note that this list is before all a list of restaurants, whatever their genre, friendly to disabled guests, not a survey or appraisal of the food and rinks they serve. 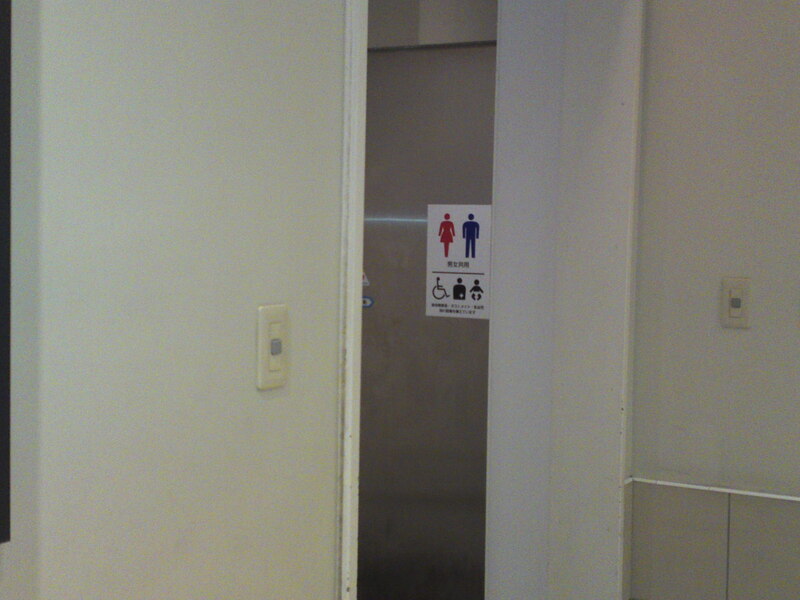 This will come only when the growing number of such establishments justify it! 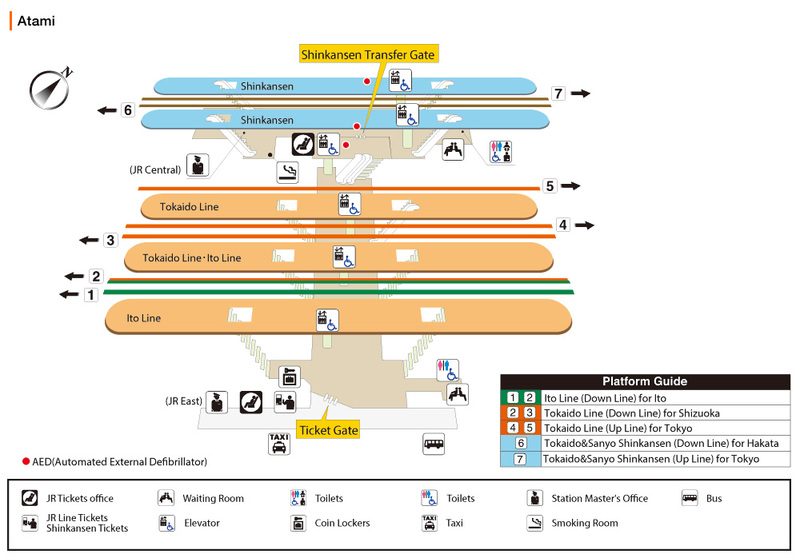 Before reserving, PLEASE DO CHECK THEIR AMENITIES ON TH PHONE FIRST! 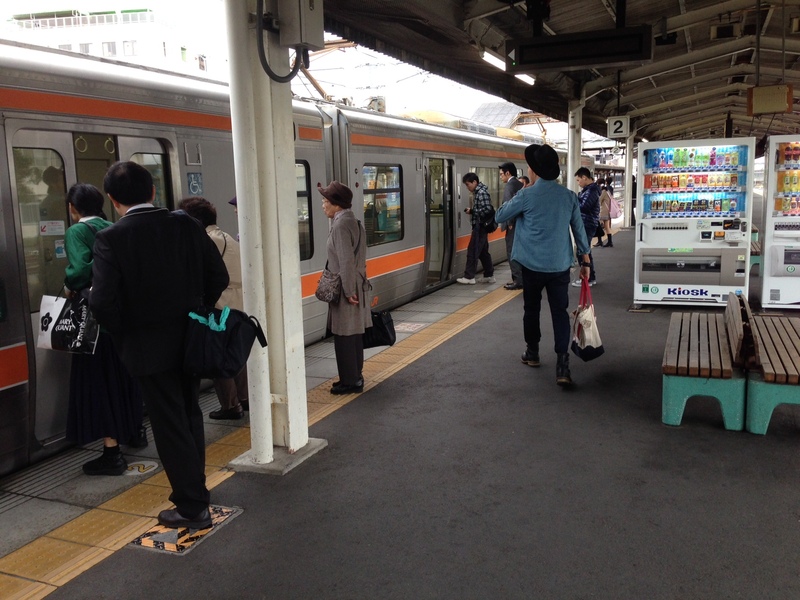 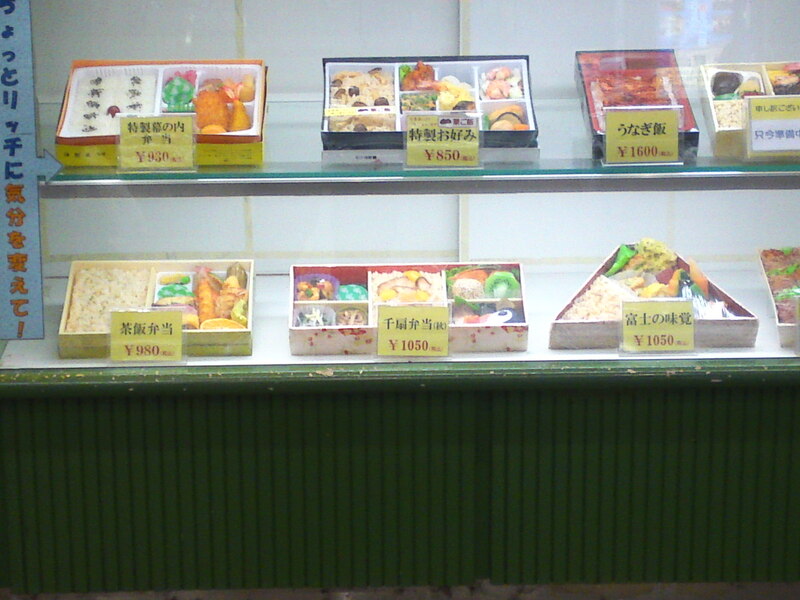 Tokai Ekiben (Railway bento/packed lunches) is very easy of access inside the lobby of Shizuoka JR Station! 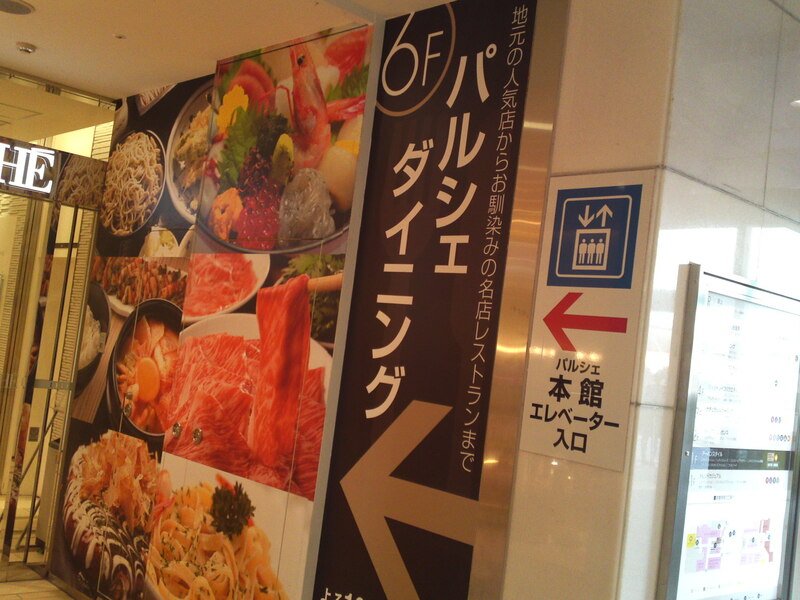 It offers more than 15 kinds of lunches, not including seasonal and limited editions! 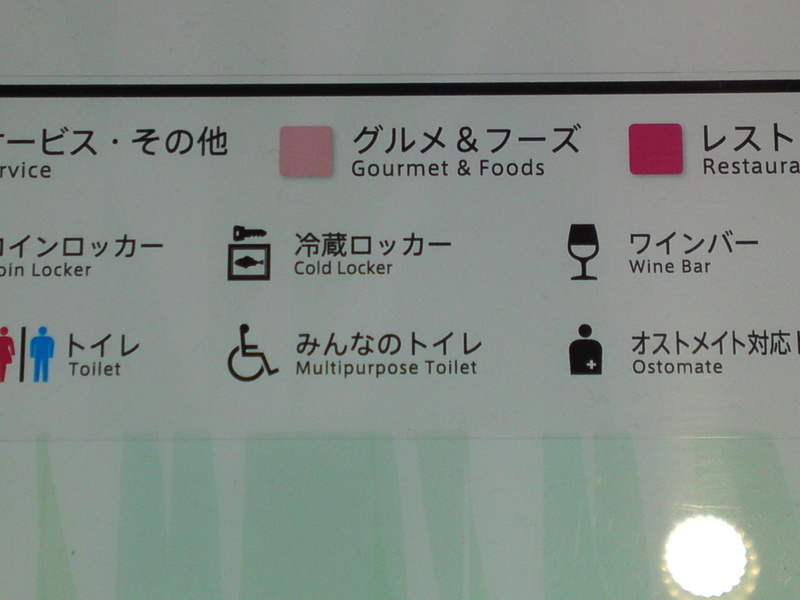 A great way to enjoy local gastronomy! 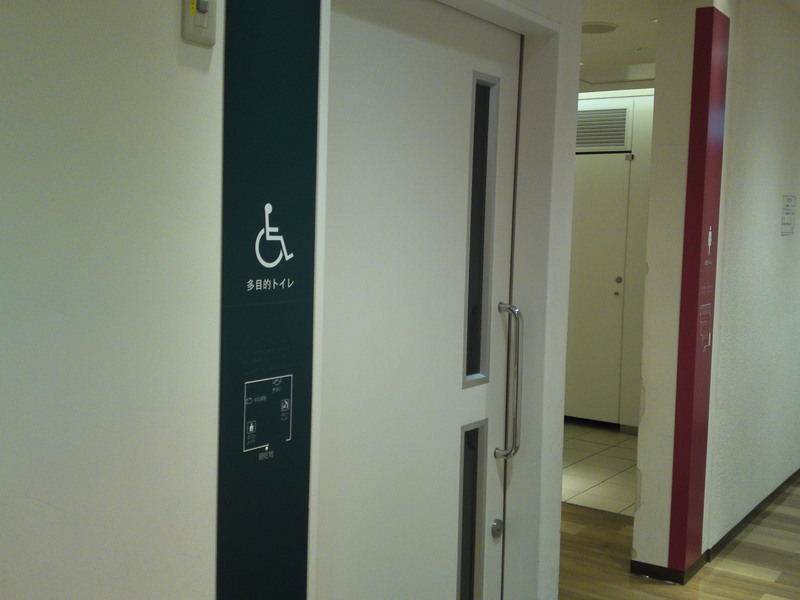 Cenova Department Store in Central Shizuoka City, Aoi Ku, Takajo is genearally very disabled gusets friendly with equipped washroom up to the 6th floor. 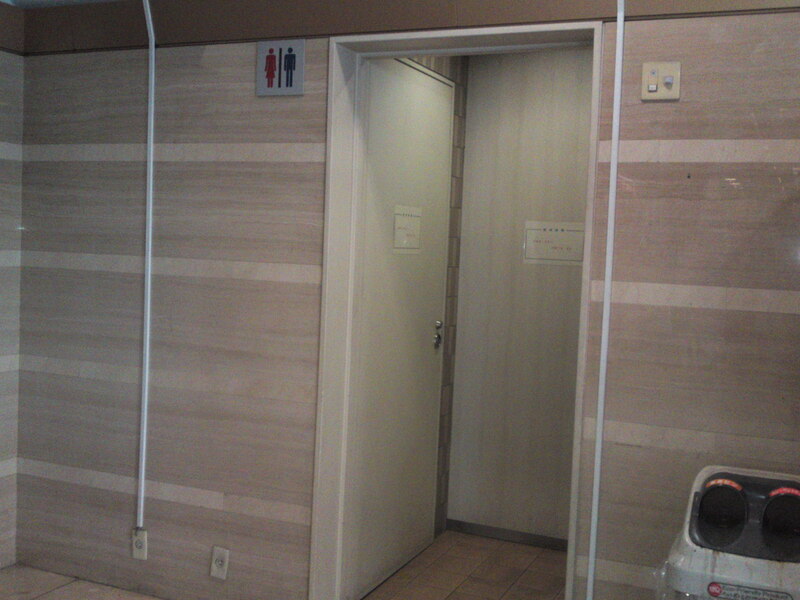 As for restaurants the 3rd and 5th floor offer two types with public equipped washroom. 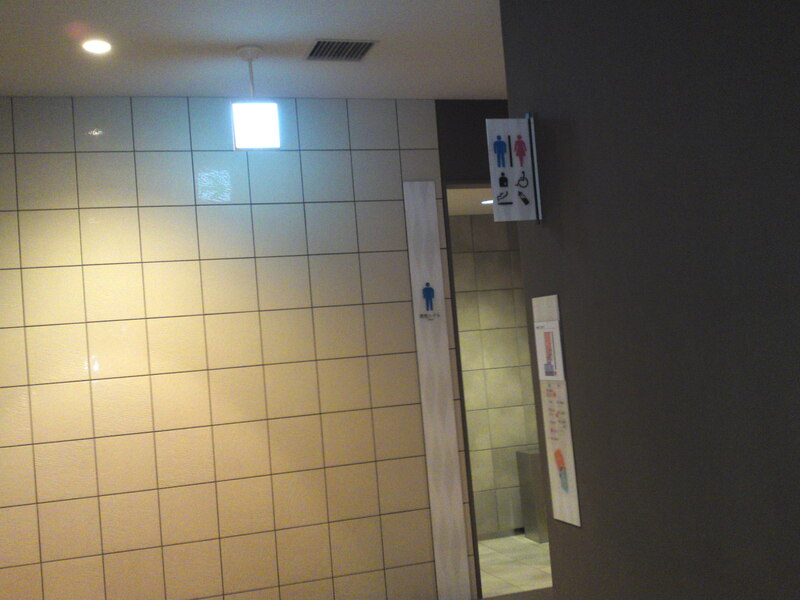 Note that the access to the public equipped washroom on the 3rd floor is at the opposite extremity involving some distance from the basically fast food restaurants. 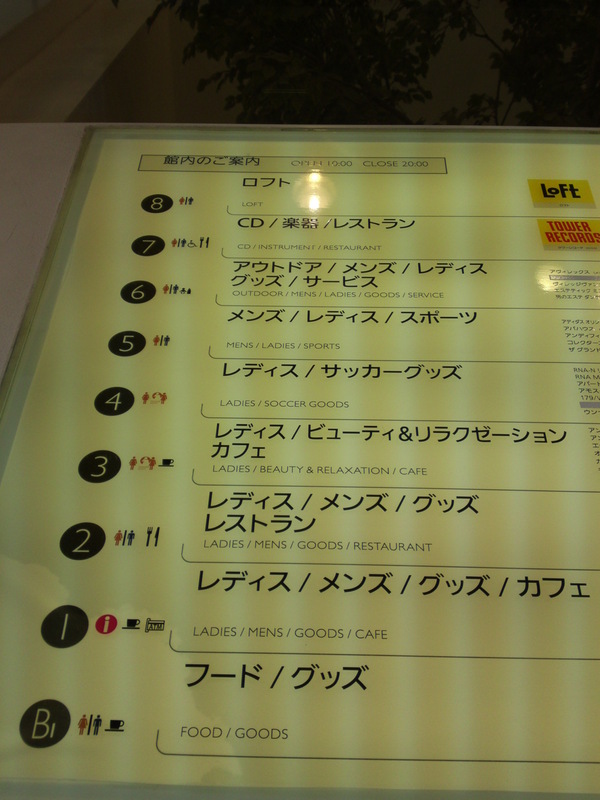 The fast food diners found on the third floor. 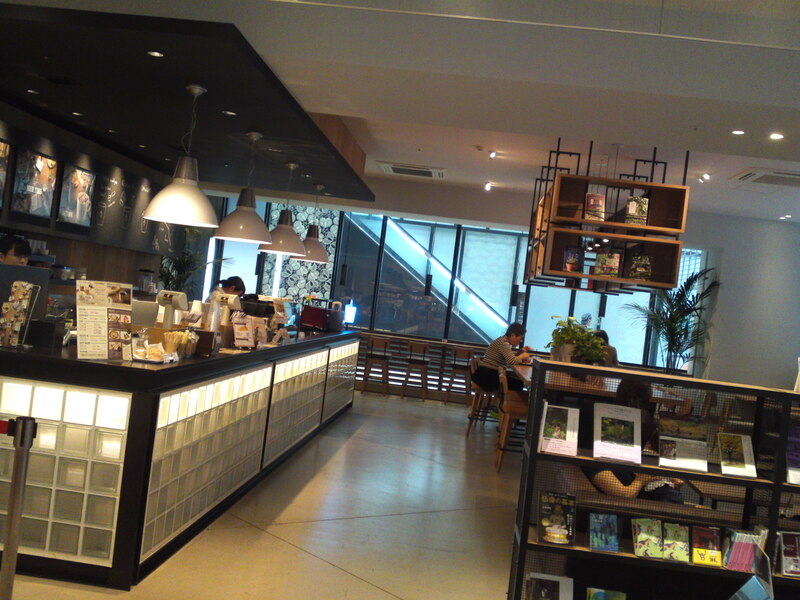 One can sit at one of the many practical tables located in the space between the food shops. 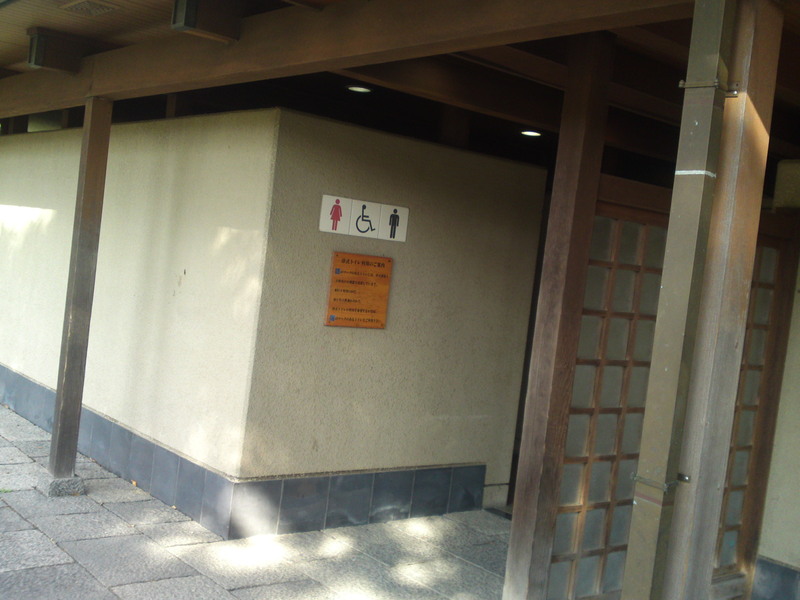 The access to the public equipped washroom on the 5th floor is more practically situated just around the corner around Uogashi Sushi Restaurant. 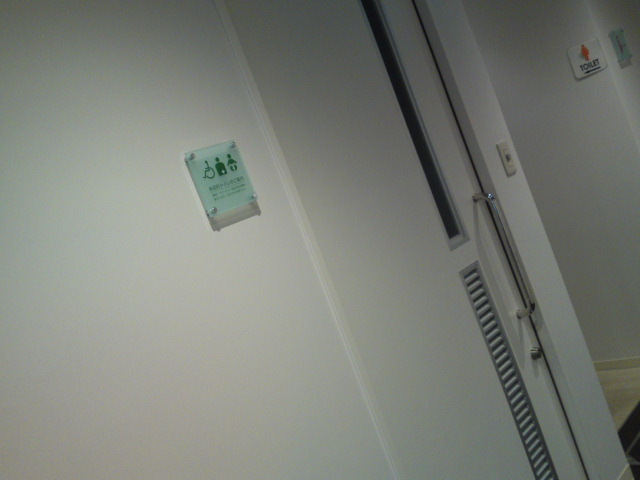 The washroom is the same as on the 3rd floor. 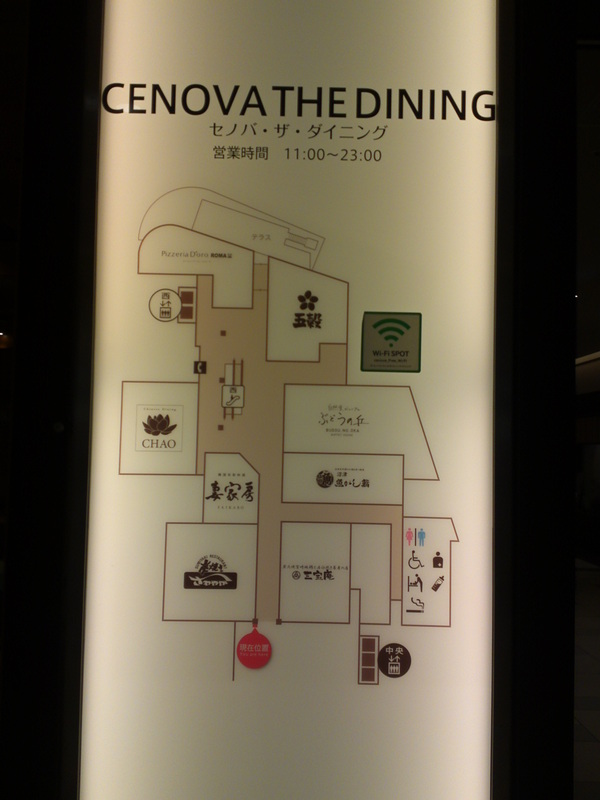 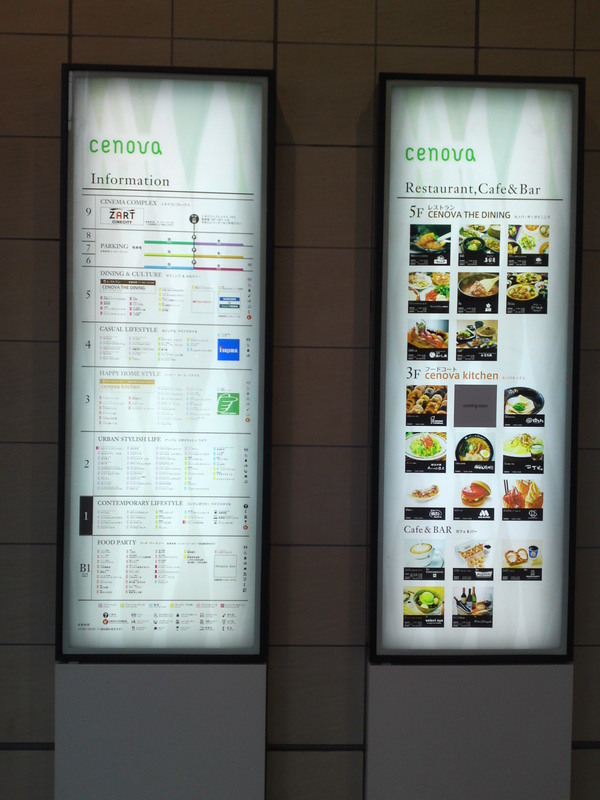 The restaurants found on the 5th floor. 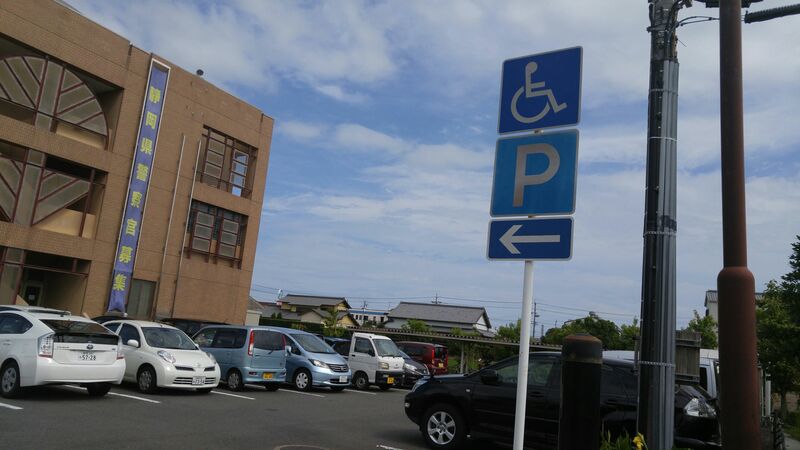 DEN BILL is located in Miyuki Cho, Aoi Ku, Shizuoka City, and has two restaurants which can welcome wheelchair-bound guests. 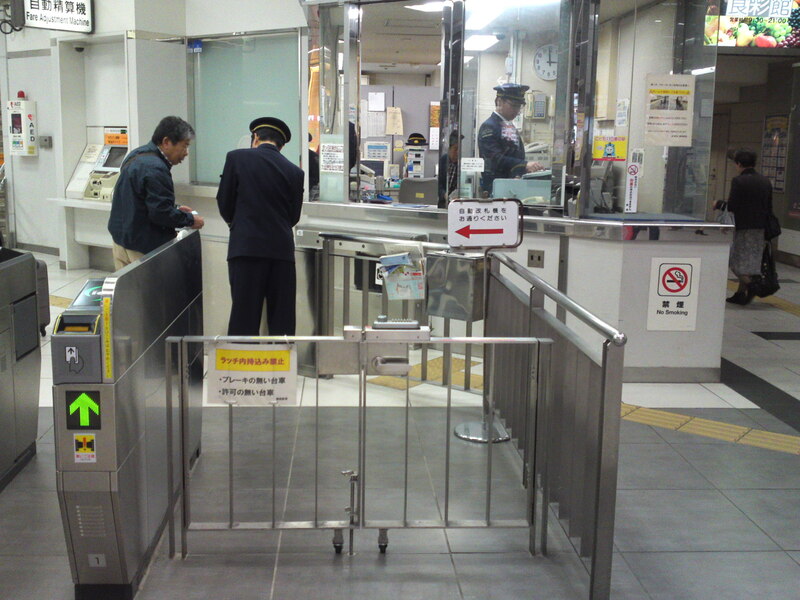 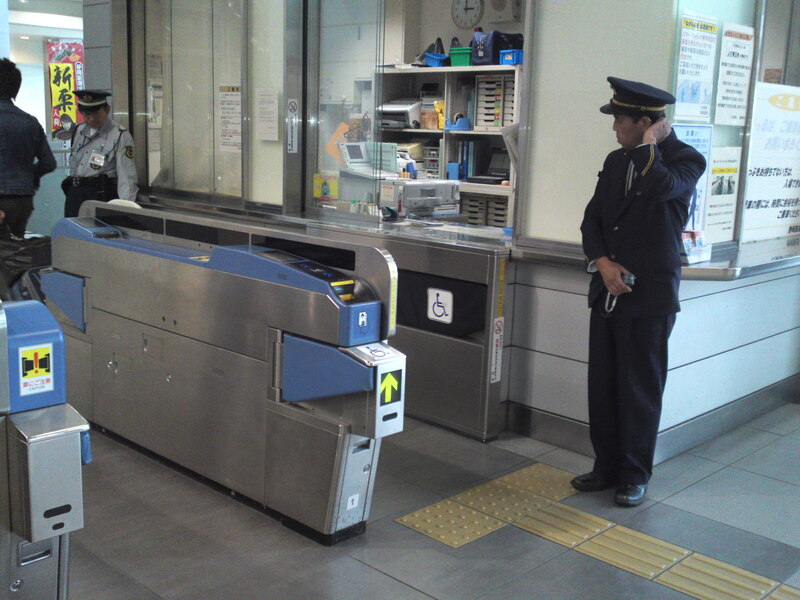 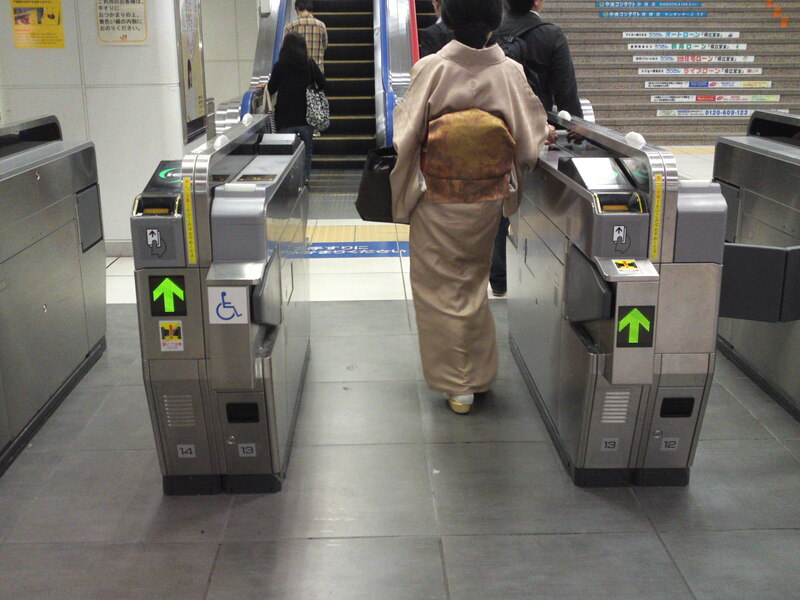 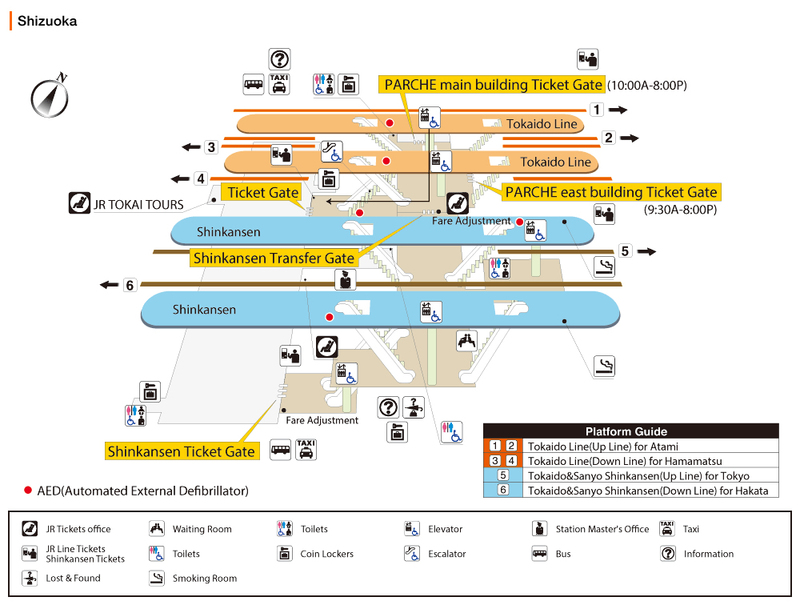 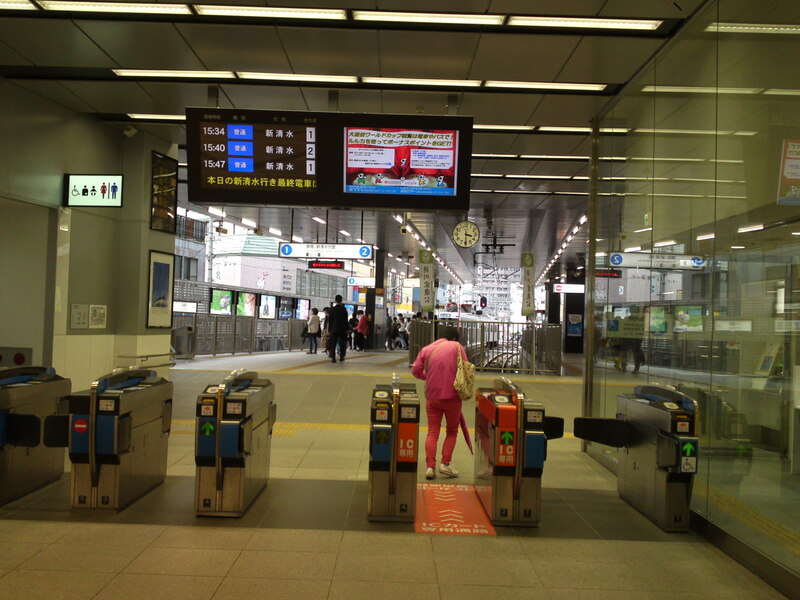 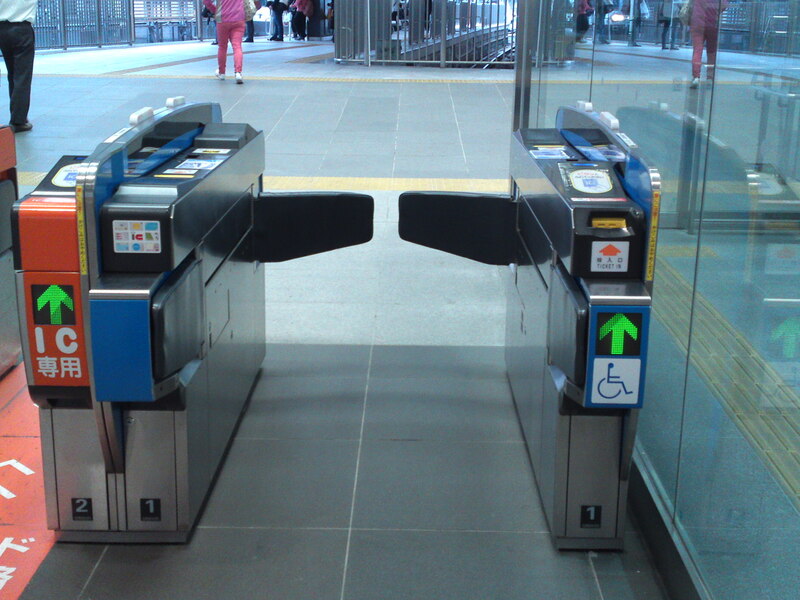 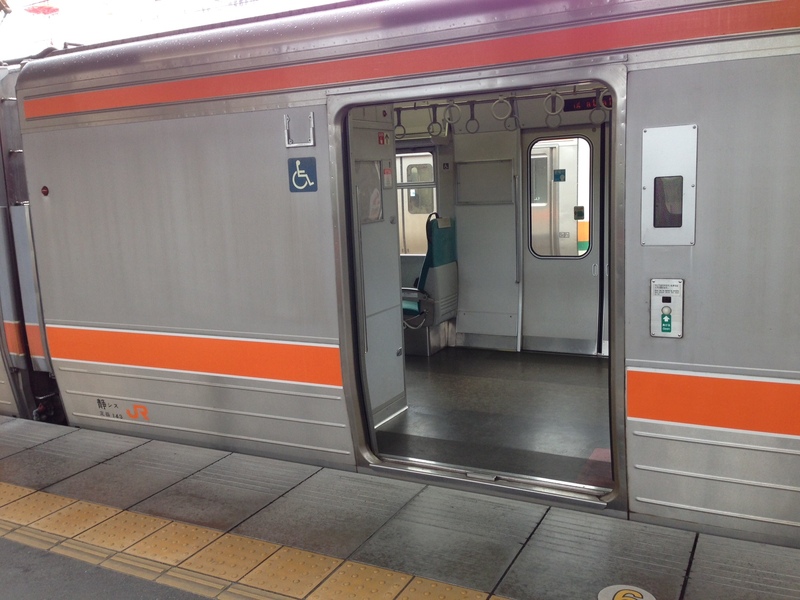 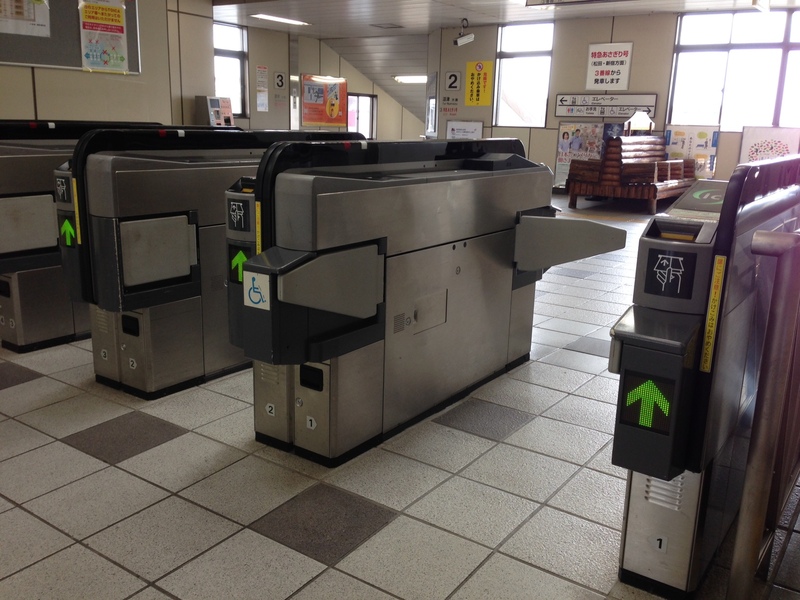 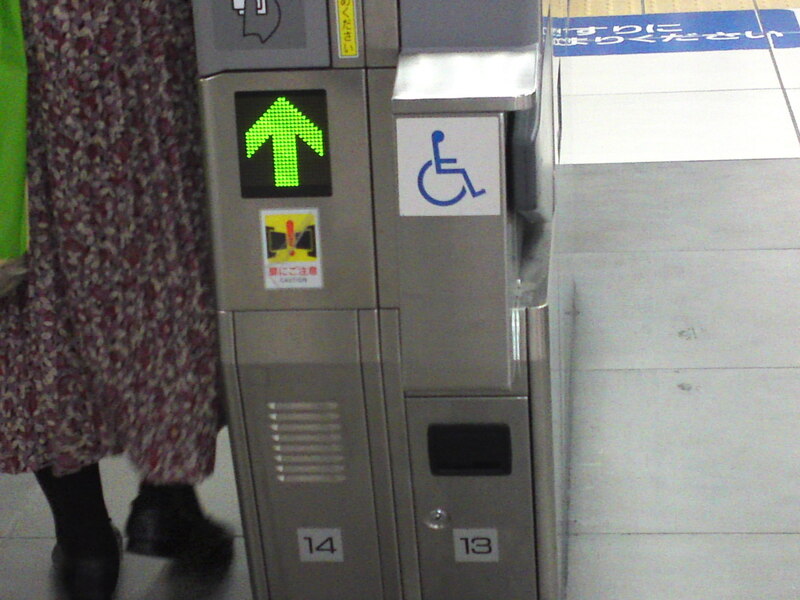 Note that the access for wheelchair-bound guests is through the big entrance opening the Edogawa Street side. 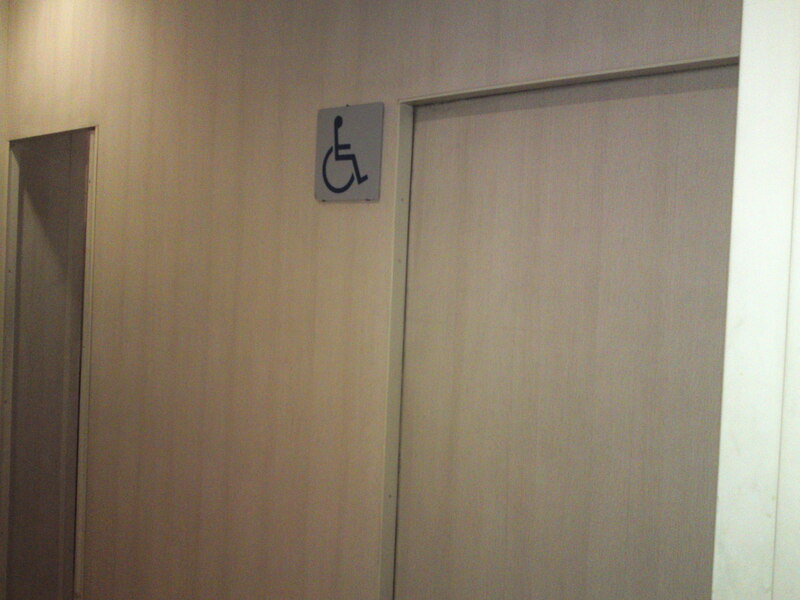 Both floors are equipped with wheelchair washroom and wheelchair elevator. 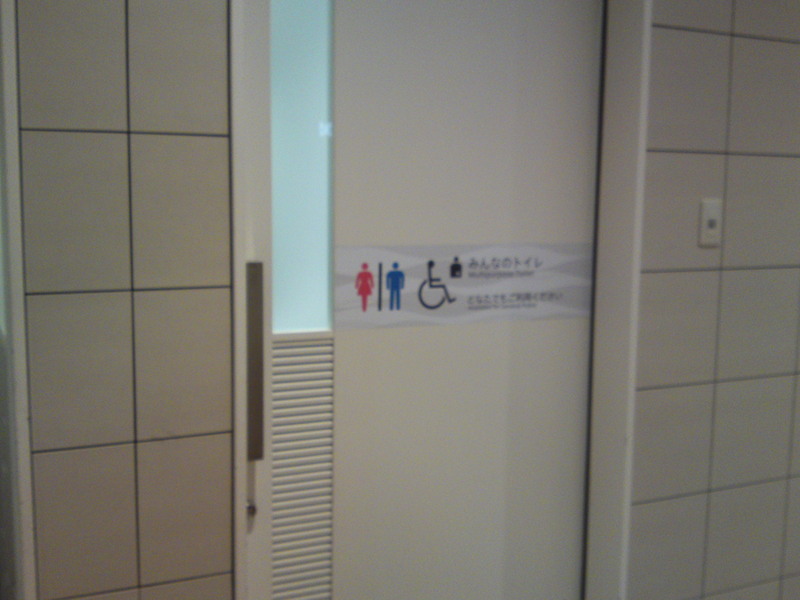 Entrance to the first floor washroom. 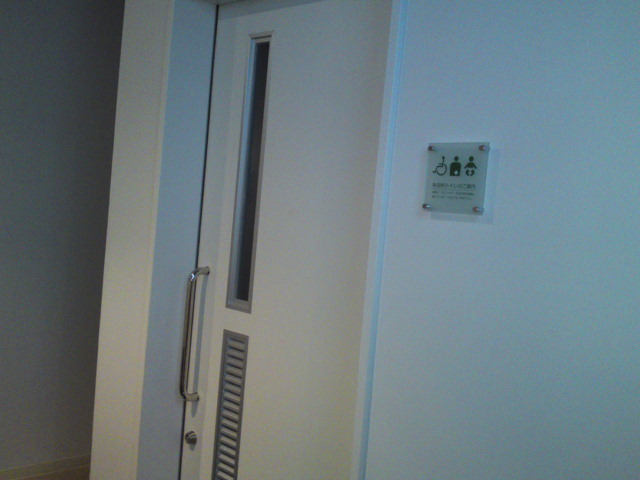 Entrance to the second floor washroom. 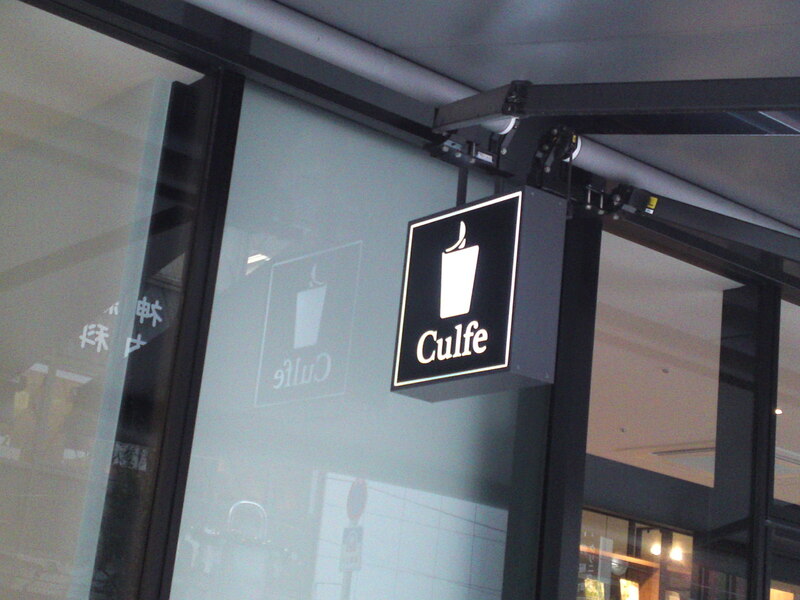 Culfe is a very practical Cafe opened from early morning to very late at night! 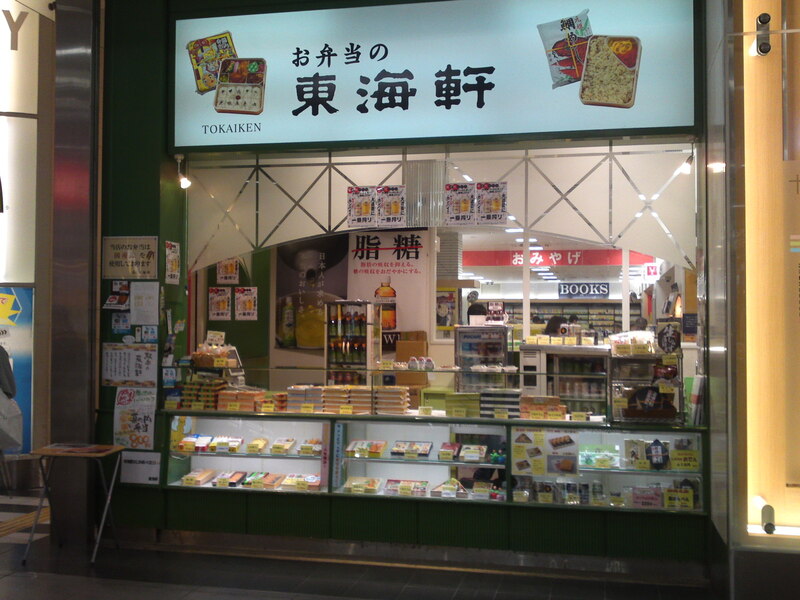 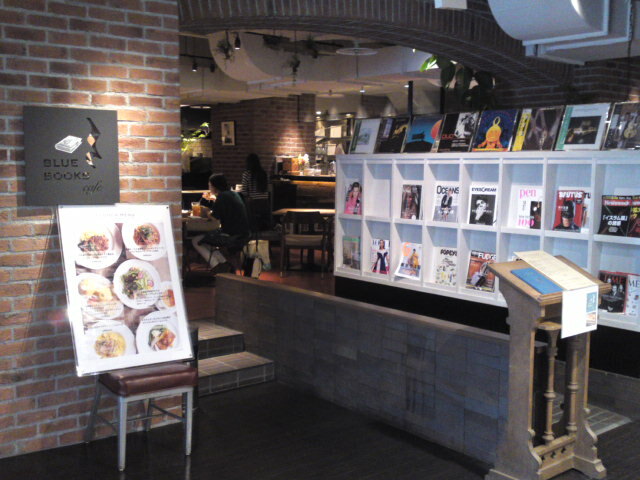 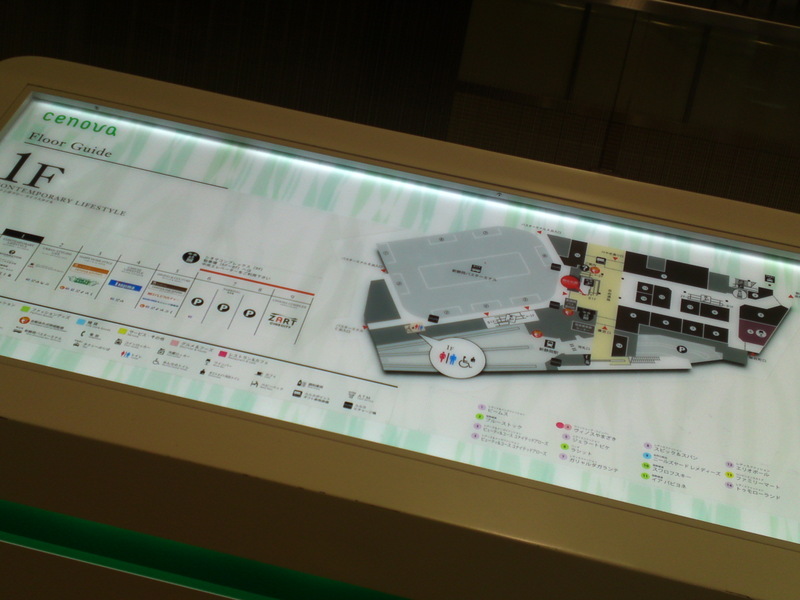 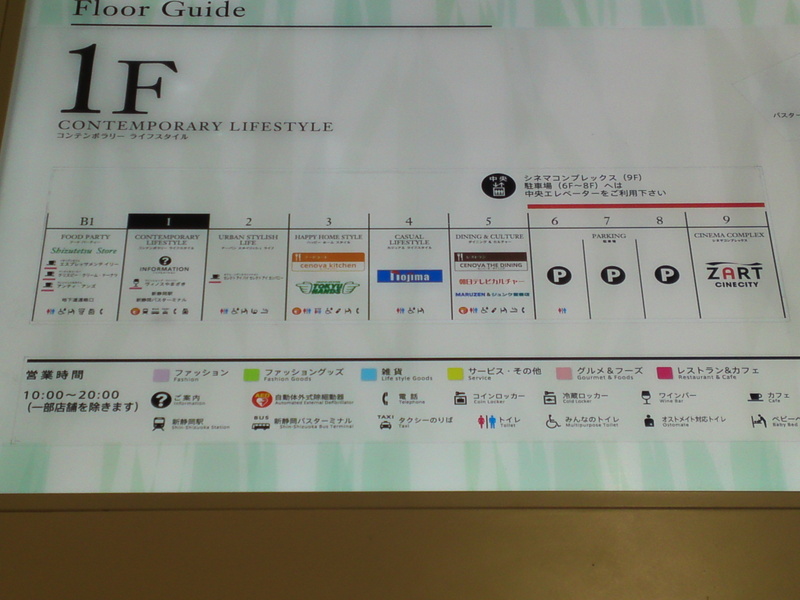 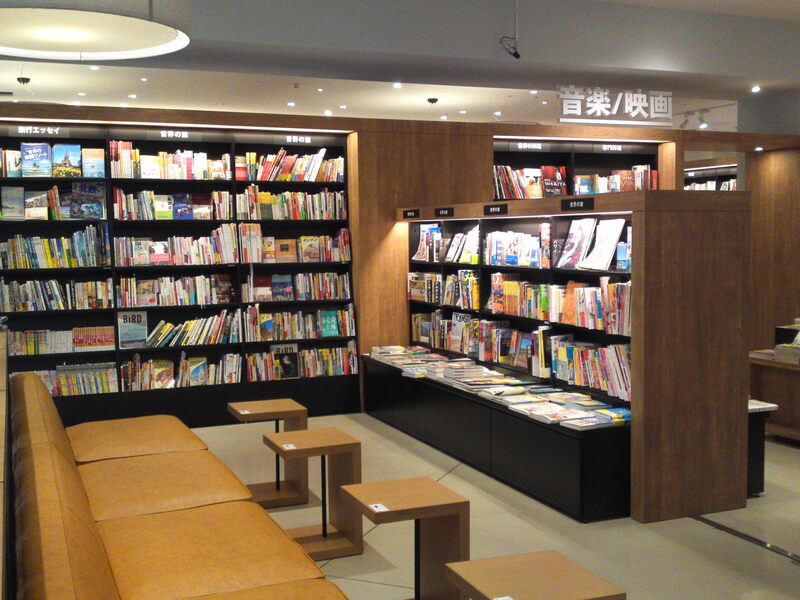 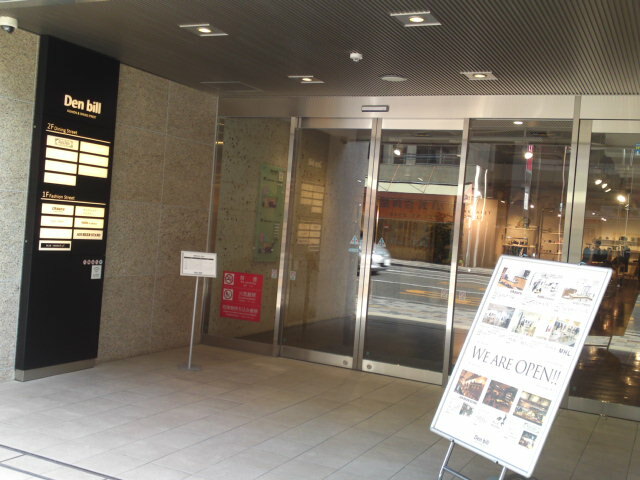 It is located inside TSUTAYA bookastore in Shizuoka City, Aoi KU, Gofuku Cho, in front of Isetan Department Store. 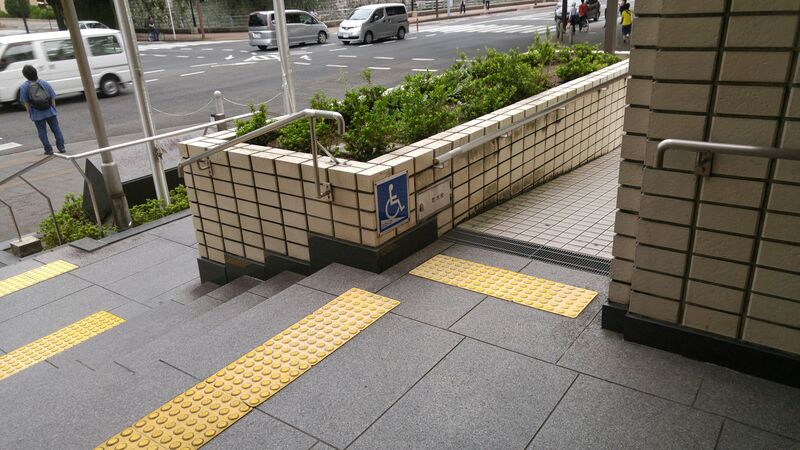 Note there is only one flat access to the Cafe from the pavement. 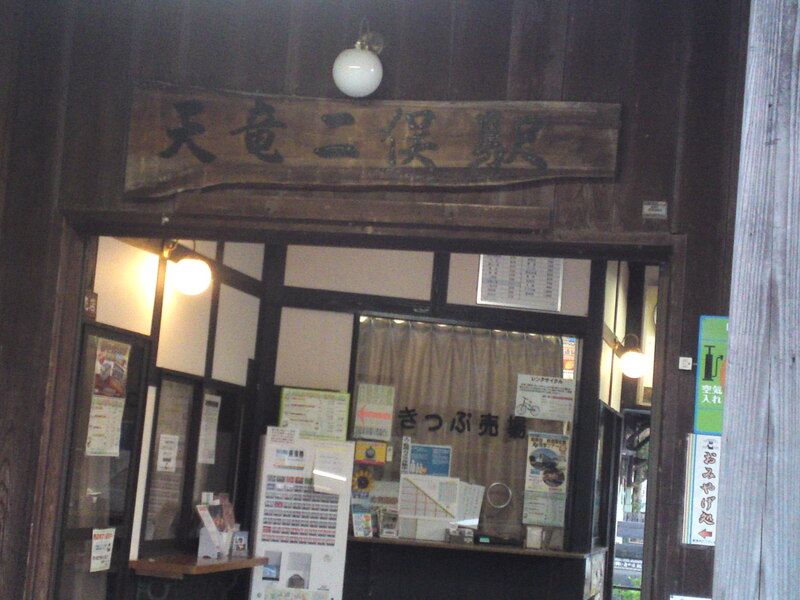 The cafe sign you cannot miss! 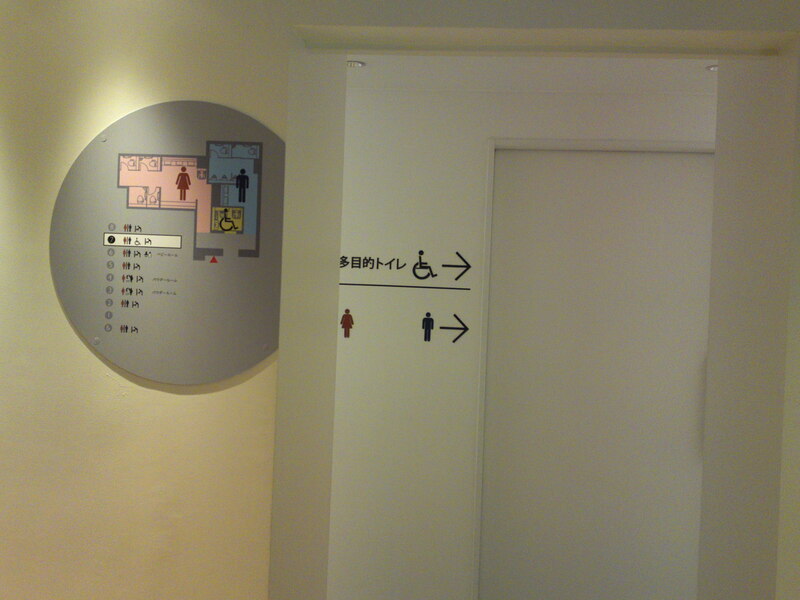 Washroom indicated in front of the CD’s shop. 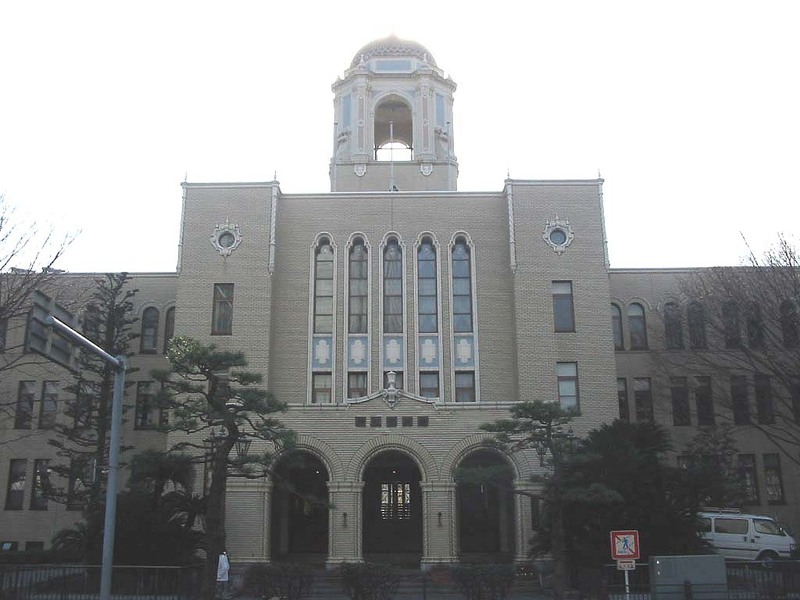 Generally speaking, all Prefecture and Cities Government buildings, main police stations, tribunals, tax offices, main post offices (although they have recently become private), etc. 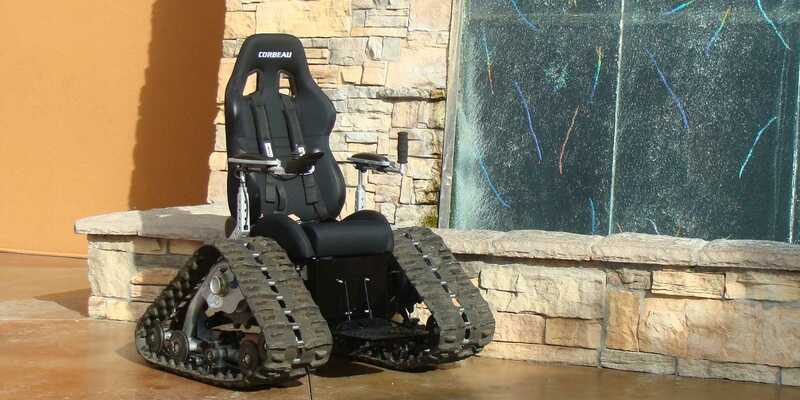 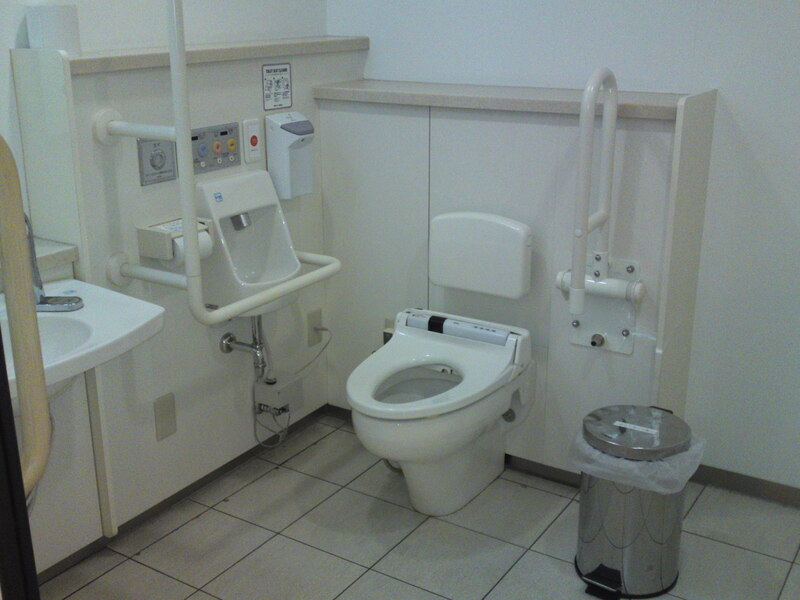 should be equipped with wheelchair easy access and washrooms. 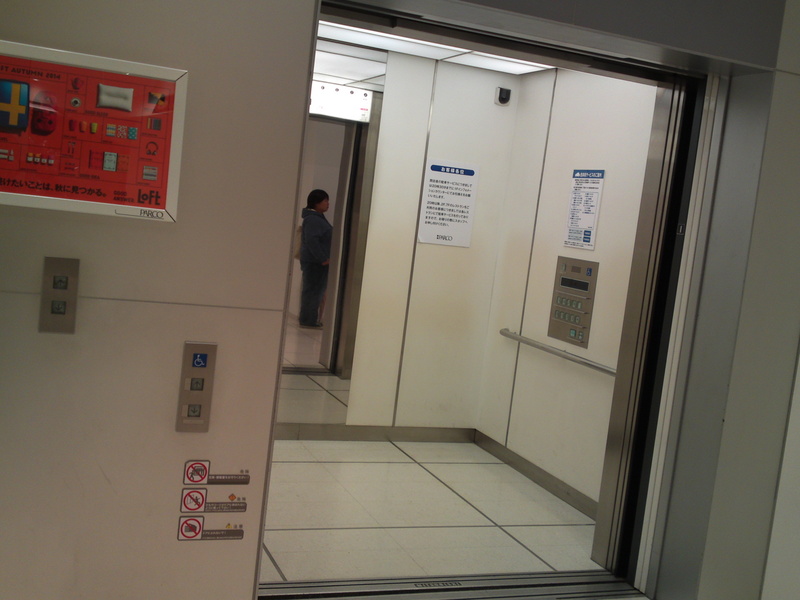 Some old buildings when not having ramps should at least have an elevator and so on. 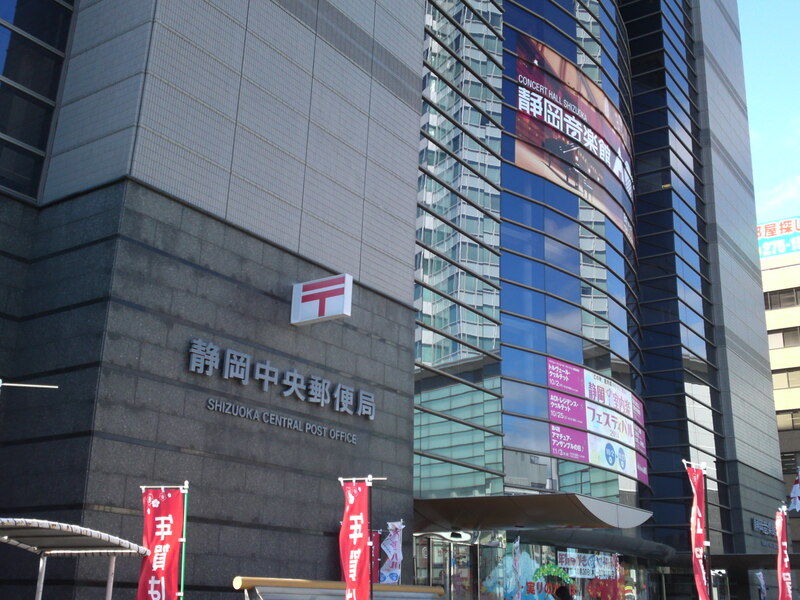 The Shizuoka City Central Post Office is located left of the Shizuoka JR Station north exit. 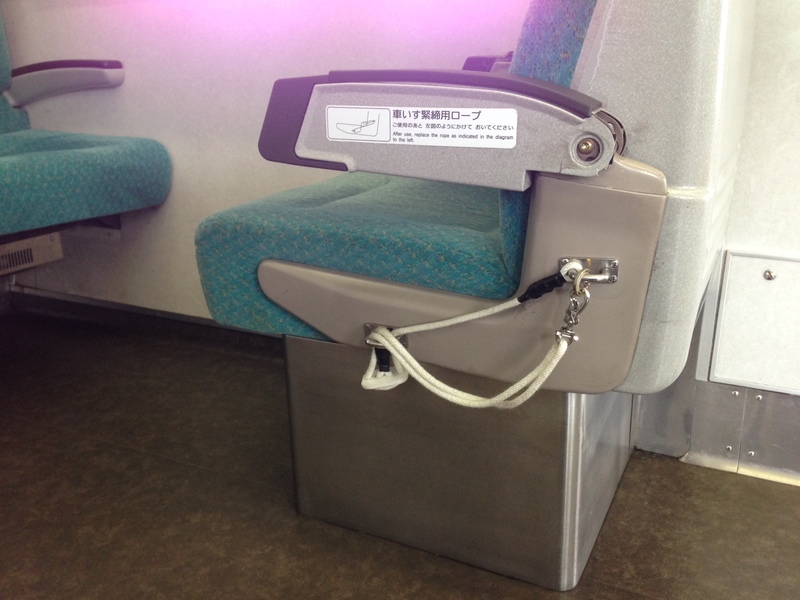 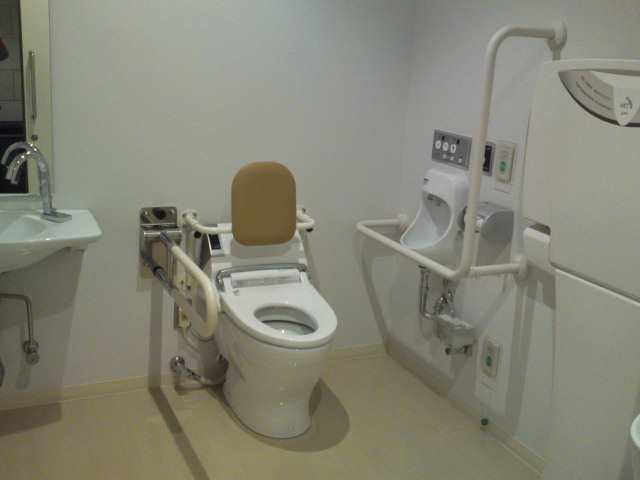 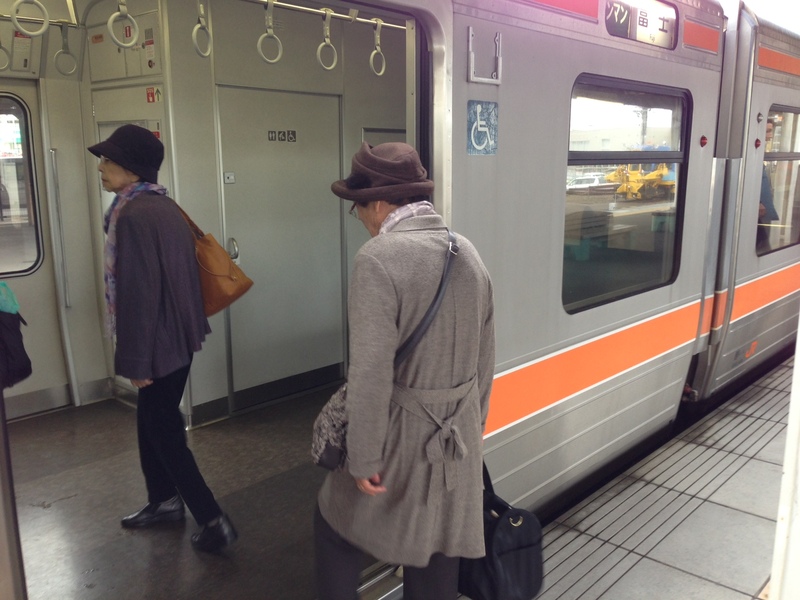 It has one washroom equipped with disabled visitors’ facilities. 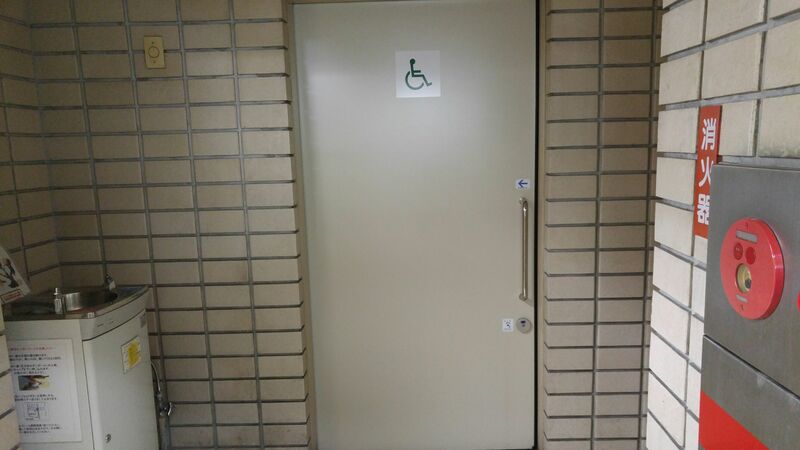 Enter through the night door, or proceed to the extreme right from the main entrance. 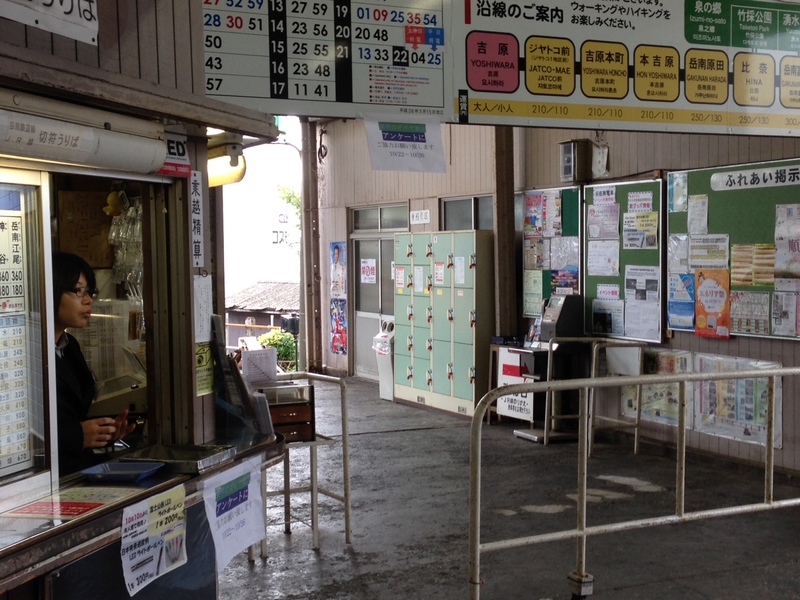 Located in the country side with its own bus stop. 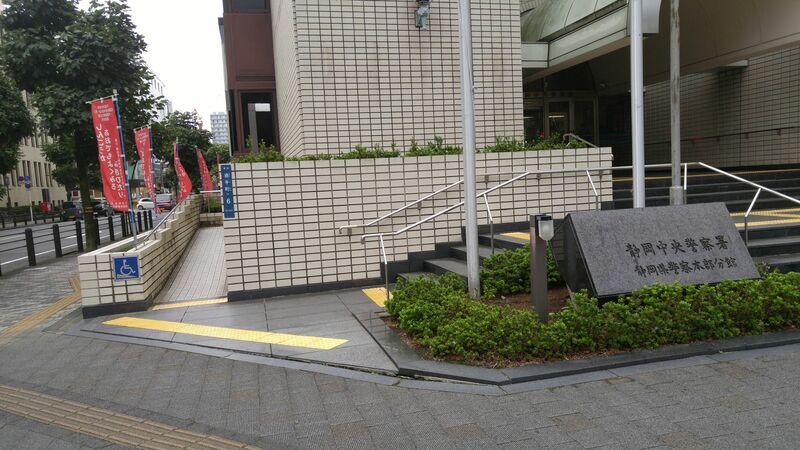 The whole seems to be well-equipped inside and with an access ramp outside. 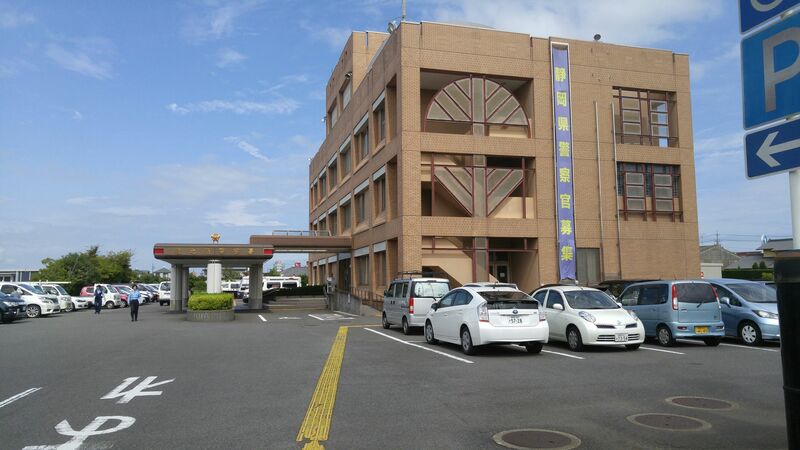 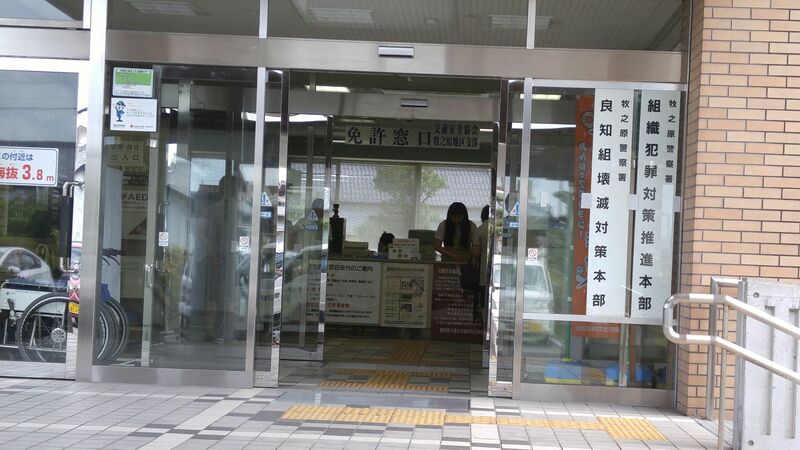 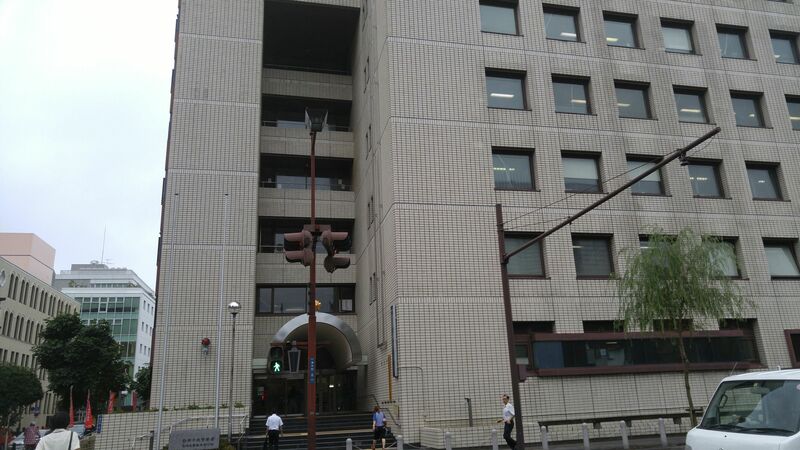 The Shizuoka City Central Police Station is comparatively well-equipped. 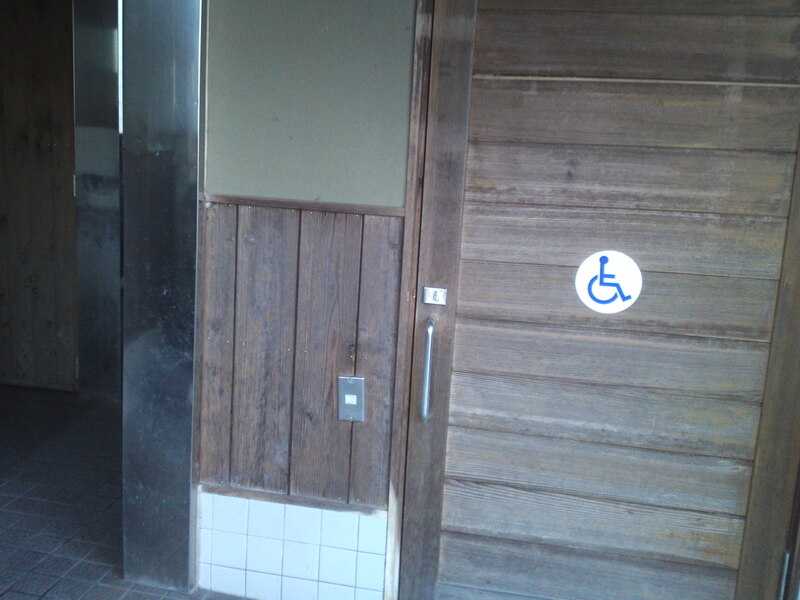 Access to the wheelchair ramp is on the left of the front entrance. 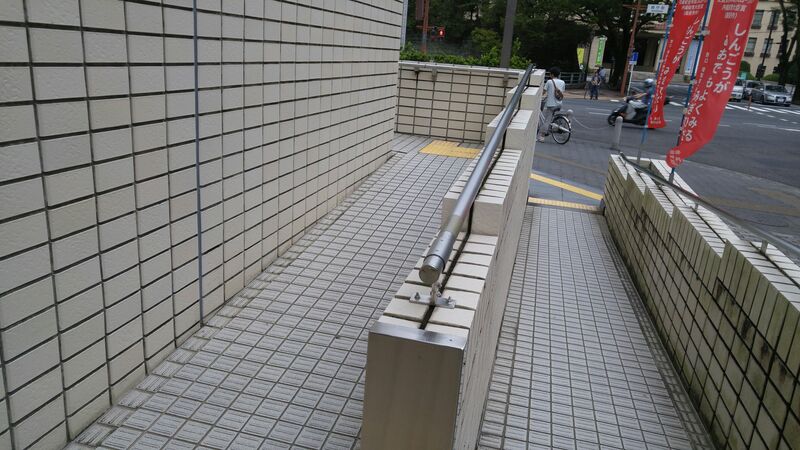 The second part to be cautiously dealed with. 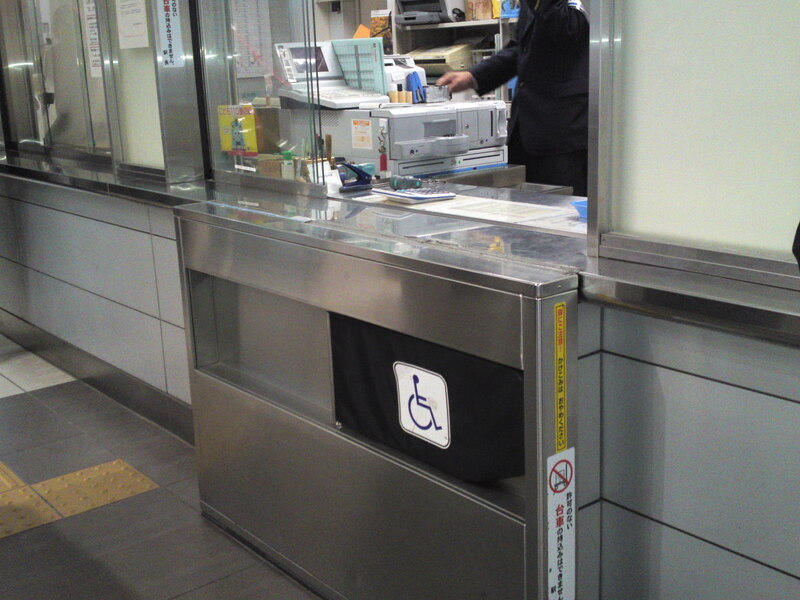 Wheelchair toilets inside Police station on the left of the counters. 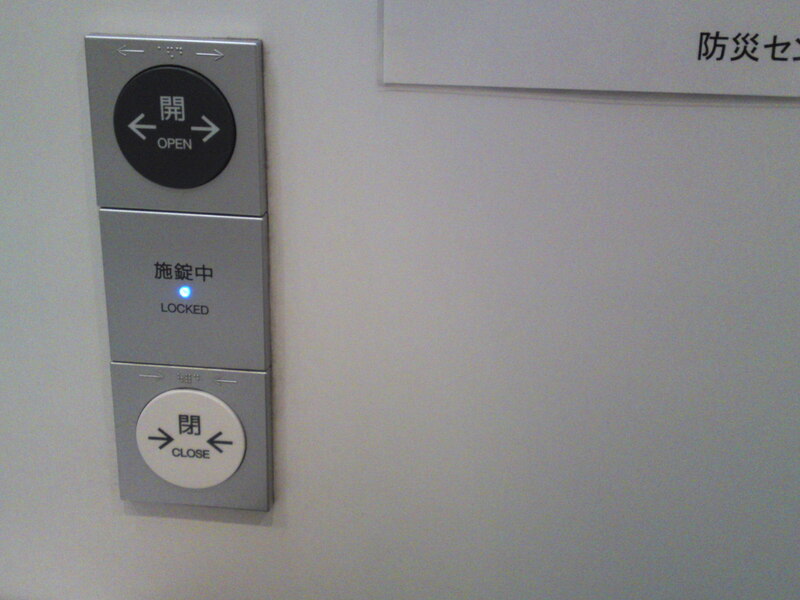 Turn right for the way down. 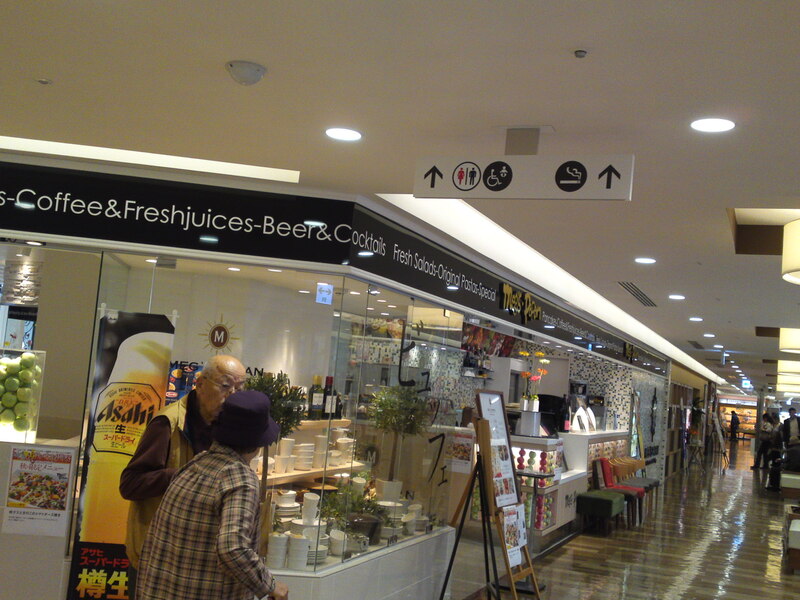 It is a vast complex including the ASTY Mall with many restaurants, clothing stores, souvenir stores and the like, PARCHE Department Store and a vast market on the first floor. 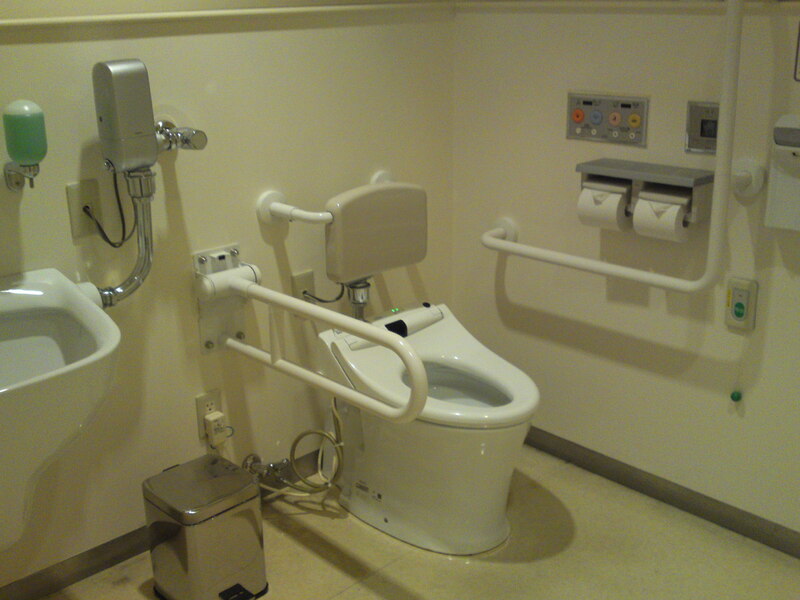 Although well equipped with sanitary facilities, wheelchair equipped washrooms can be found only on the 3rd and 6th floors. 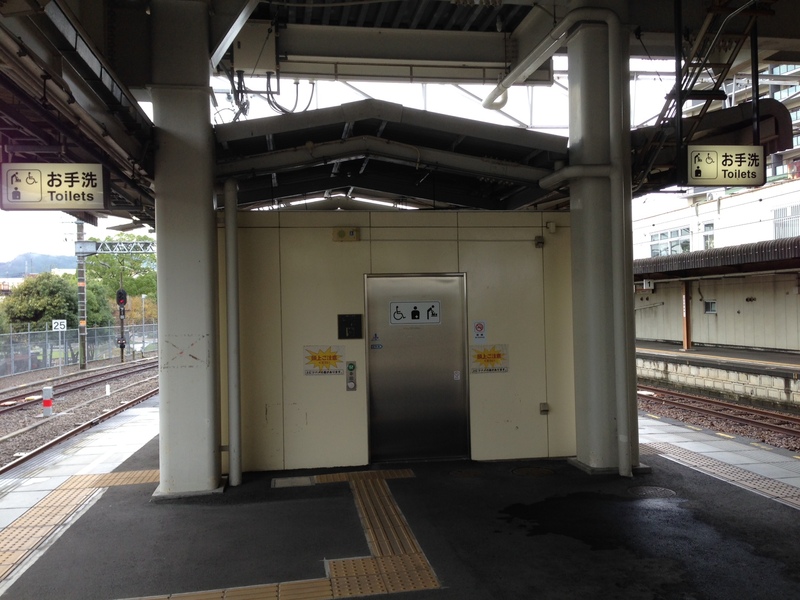 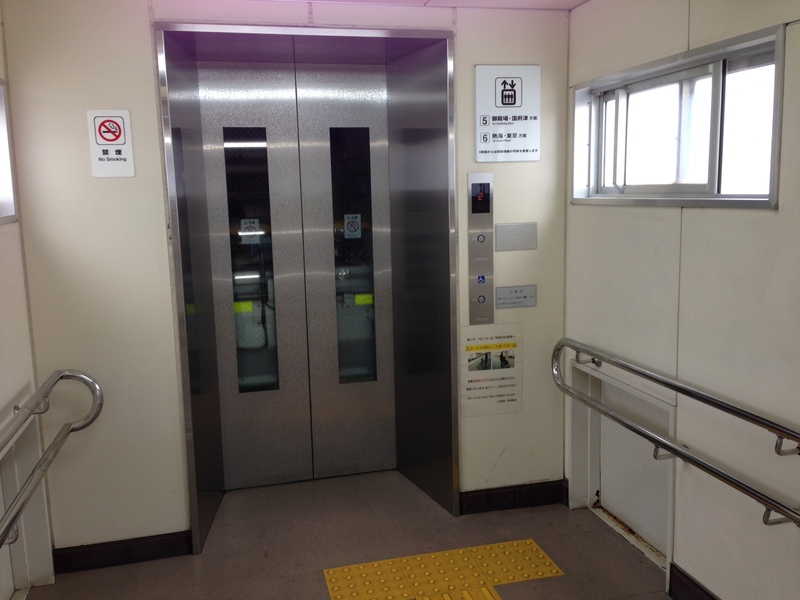 The most practical and direct access to the 3rd and 6th floor equipped washrooms is to take the equipped elevator from the first floor right of the station entrance when you go in (left if you go out. 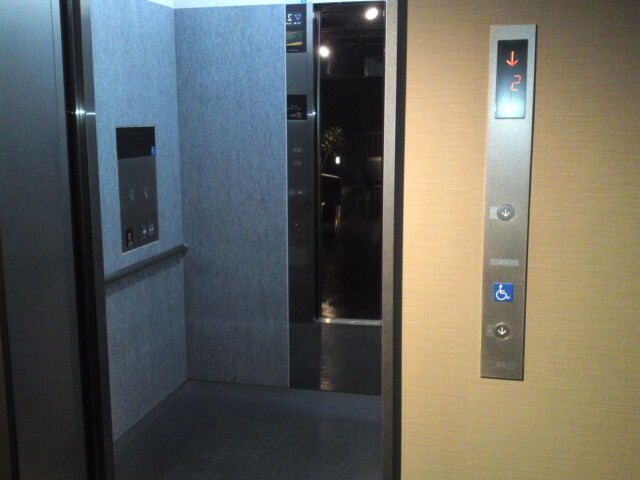 Access to the equipped elevator. 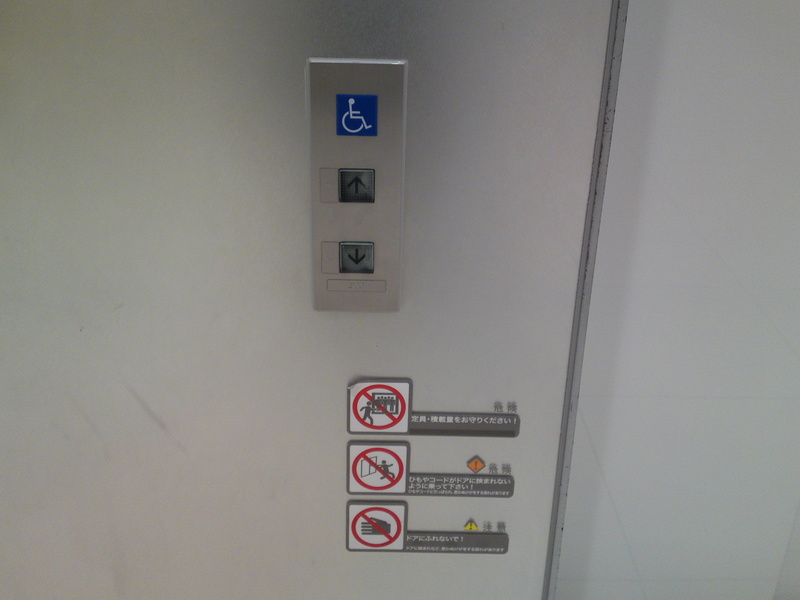 Indicating signs on the 3rd floor. 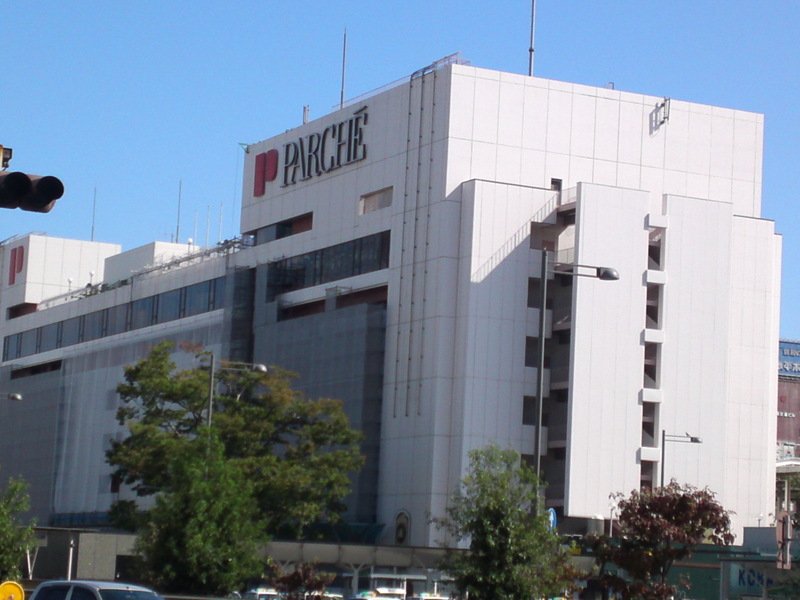 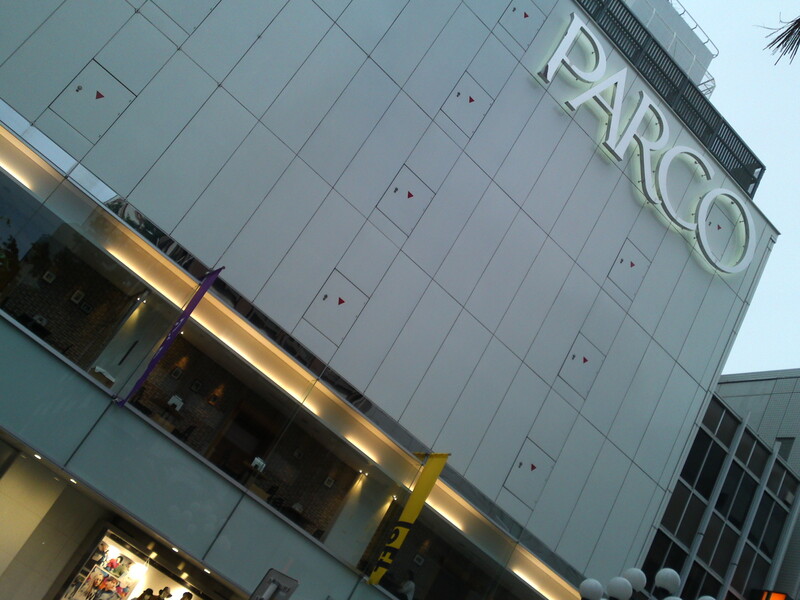 Parco Department store is mainly a rental space for many shops on　8 floors and a basement floor with restaurants on the 2nd and 7th floor, and food on the basement floor. 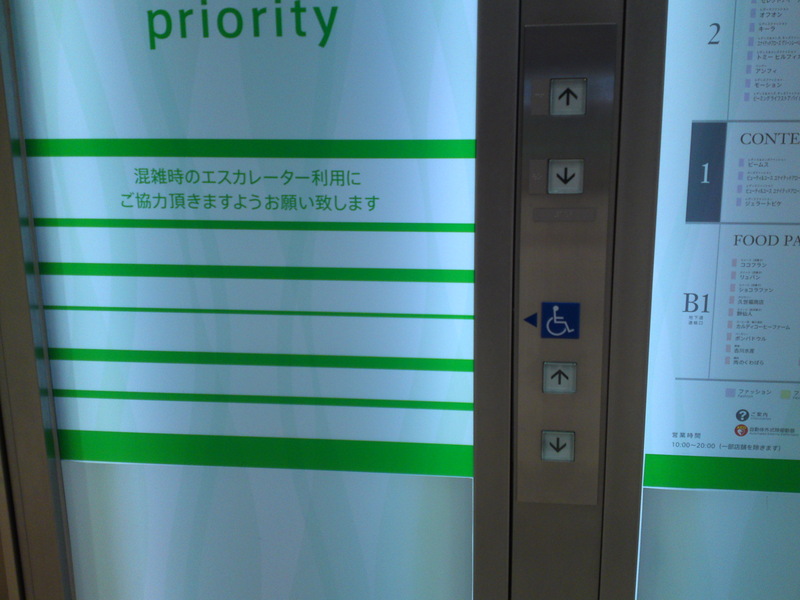 Only the 7th floor is equipped with wheelchair users’ washroom. 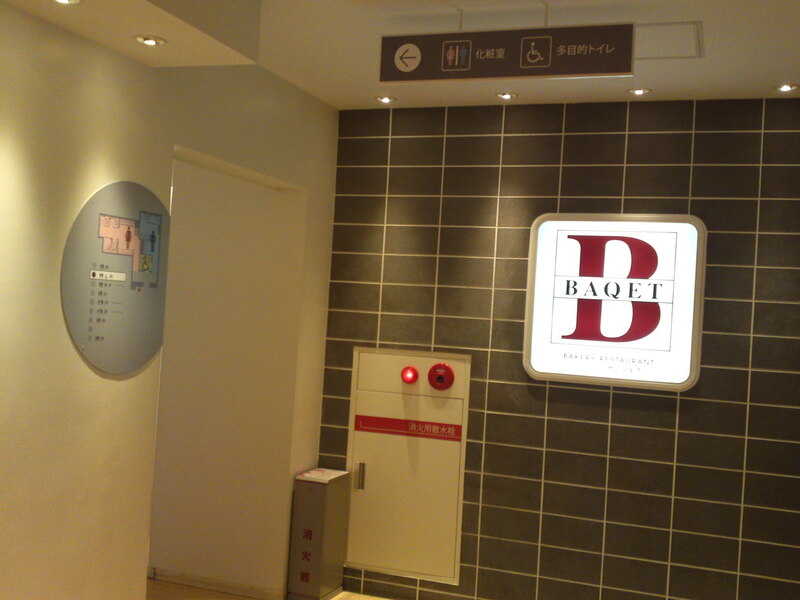 For access to the disabled visitors’ washroom get out on the 7th floor and turn immediately left past Baquet Restaurant. 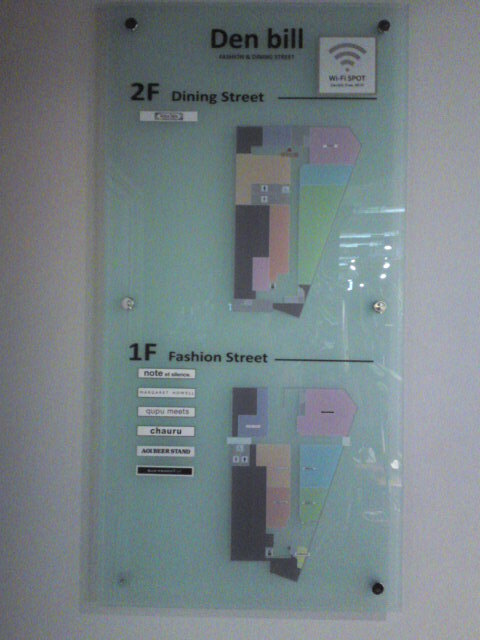 Map on 1st Floor by the elevator going down to the Basement Floor. 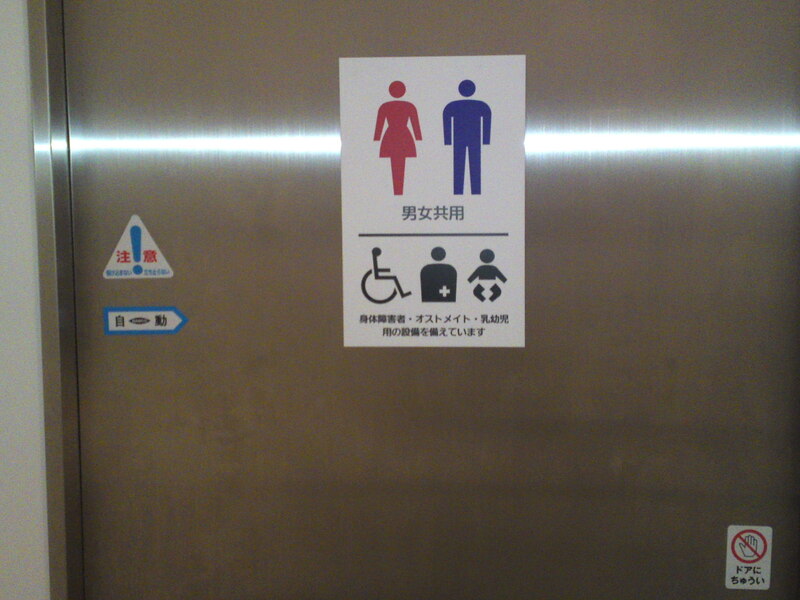 There is a wheelchair user’s washroom on all floors from basement Floor to 6th Floor. 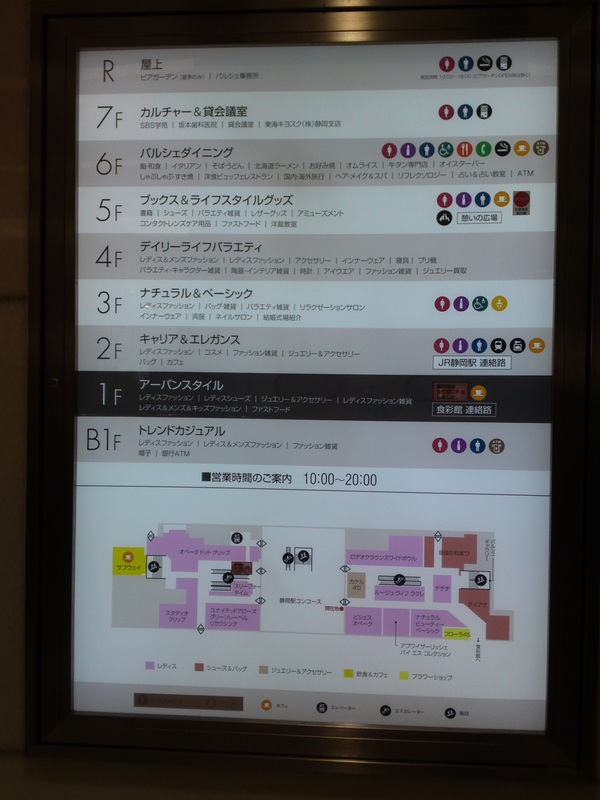 There are none on the car park floors (6th, 7th and 8th), but there is one on the 9th Floor housing the Movie Theaters. 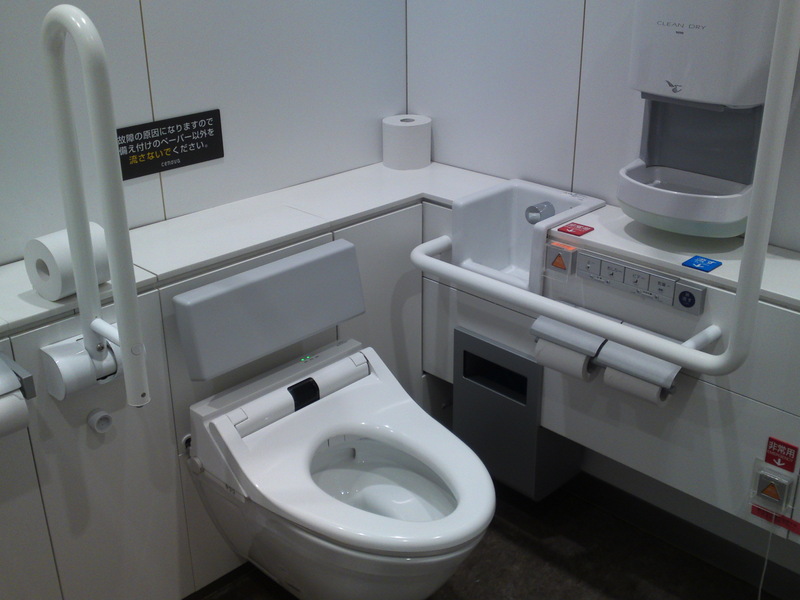 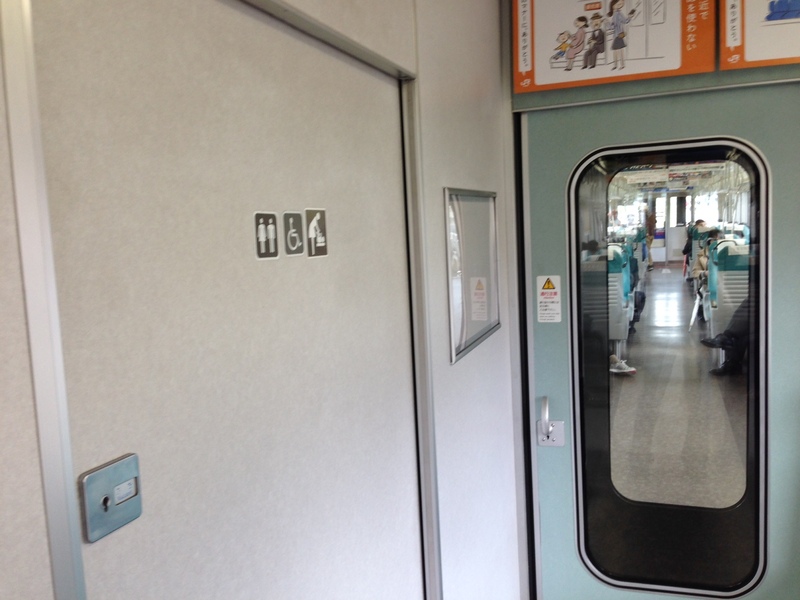 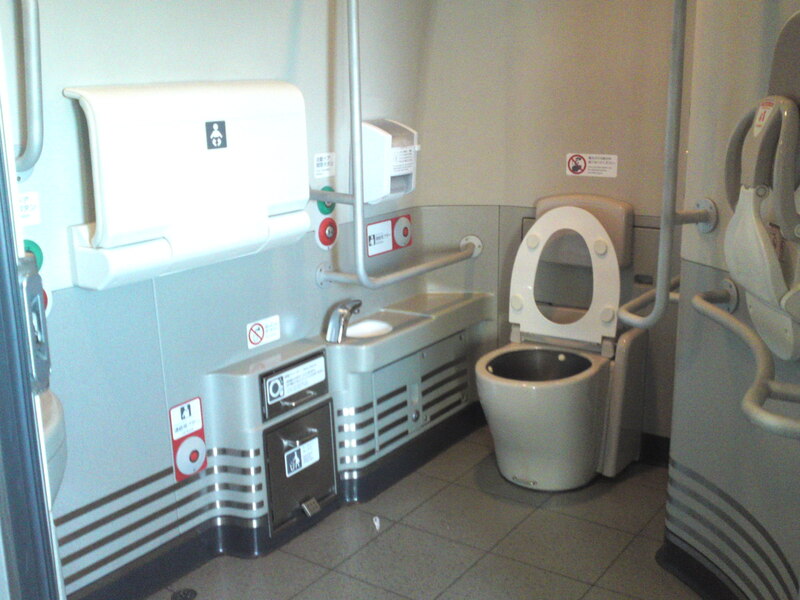 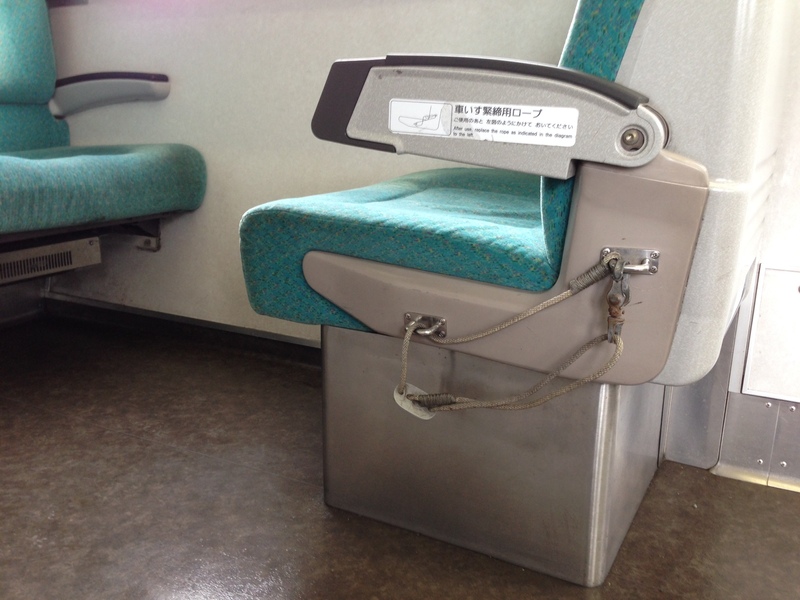 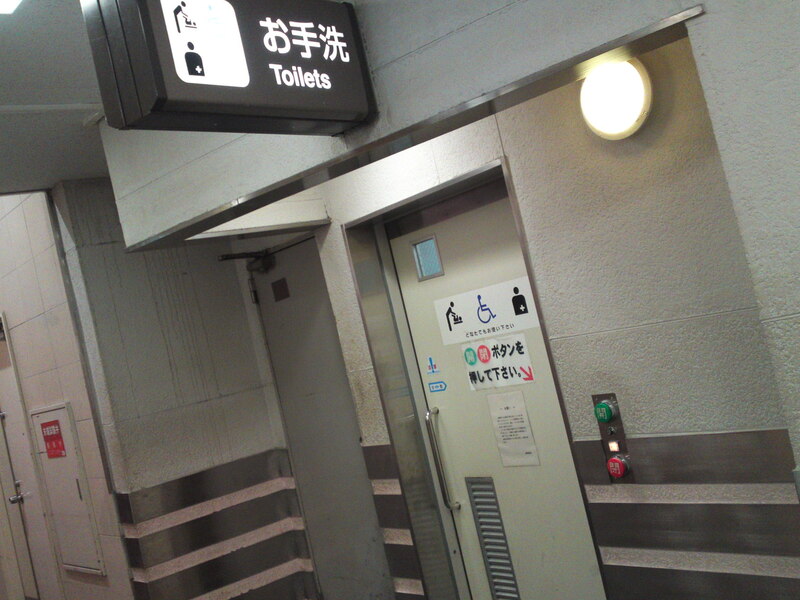 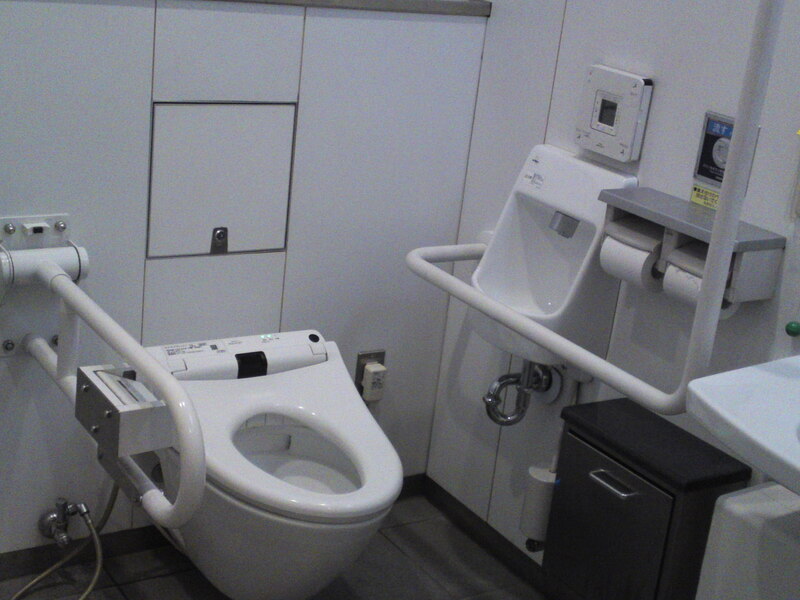 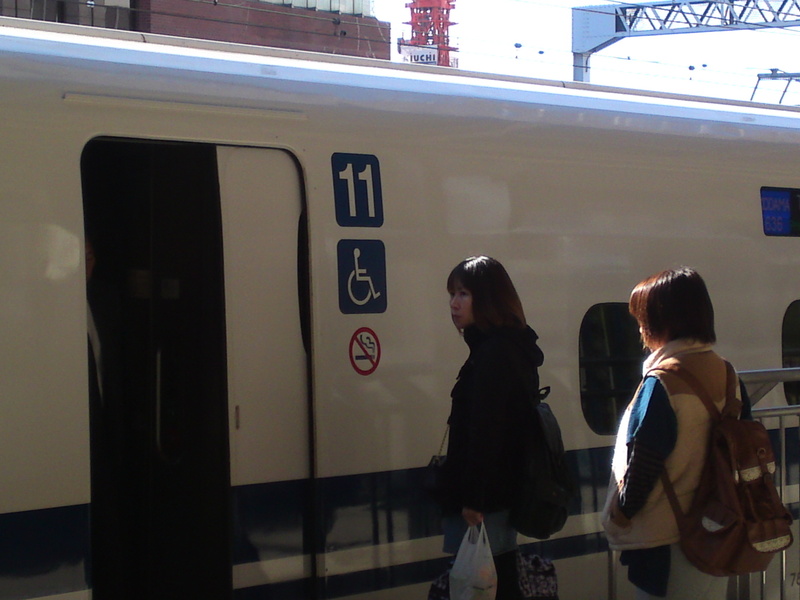 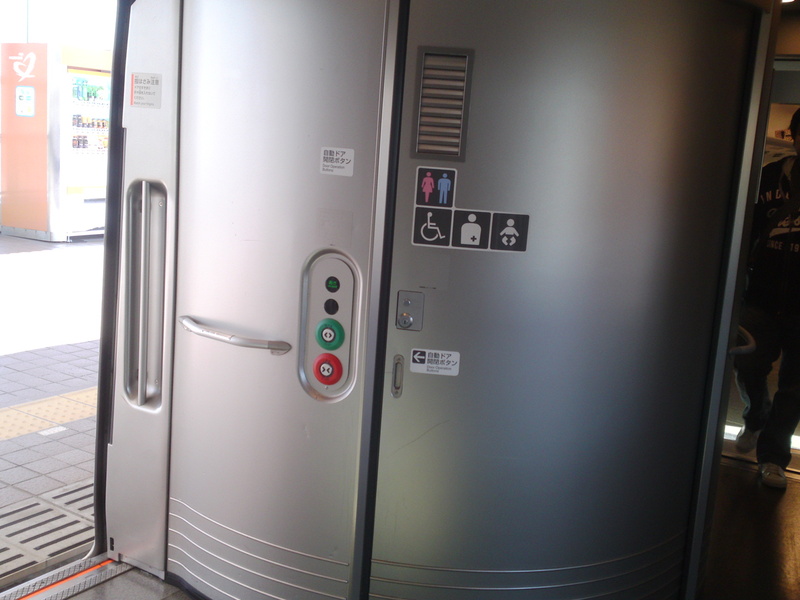 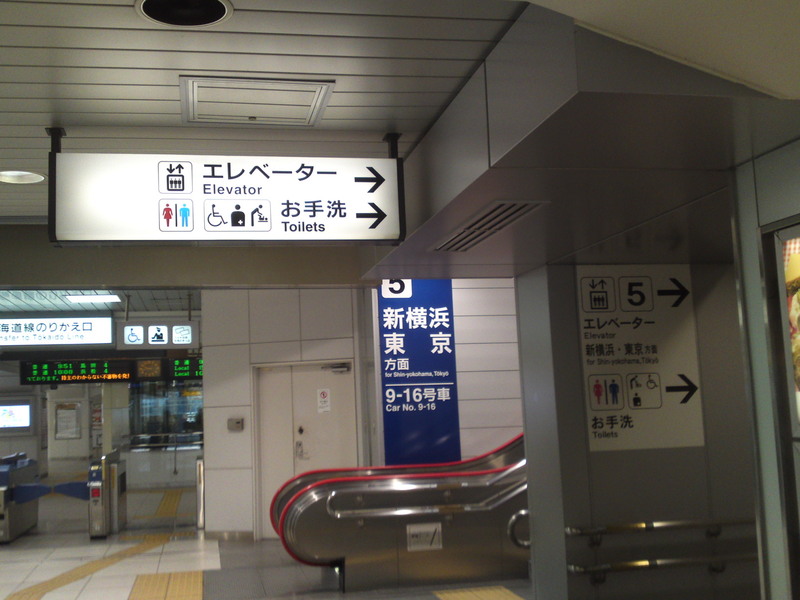 The 1st floor disabled user’s washroom is shared with the bus terminal. 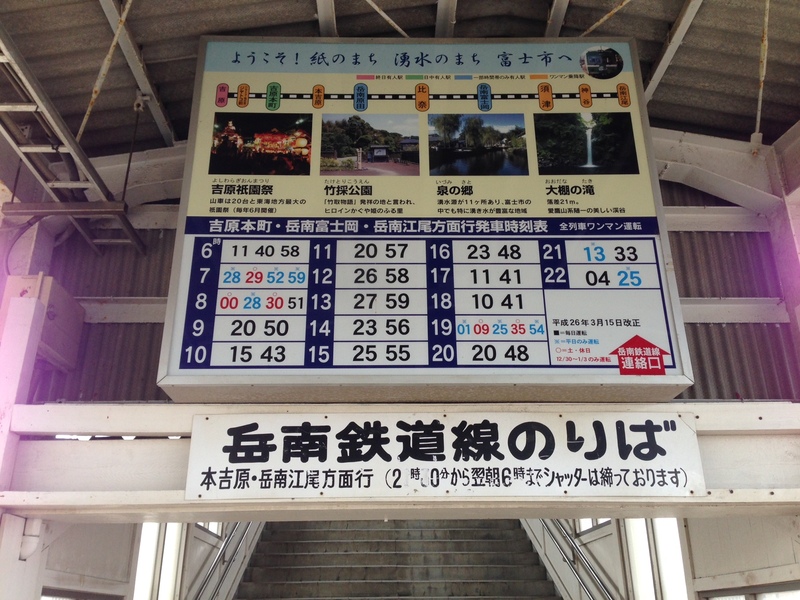 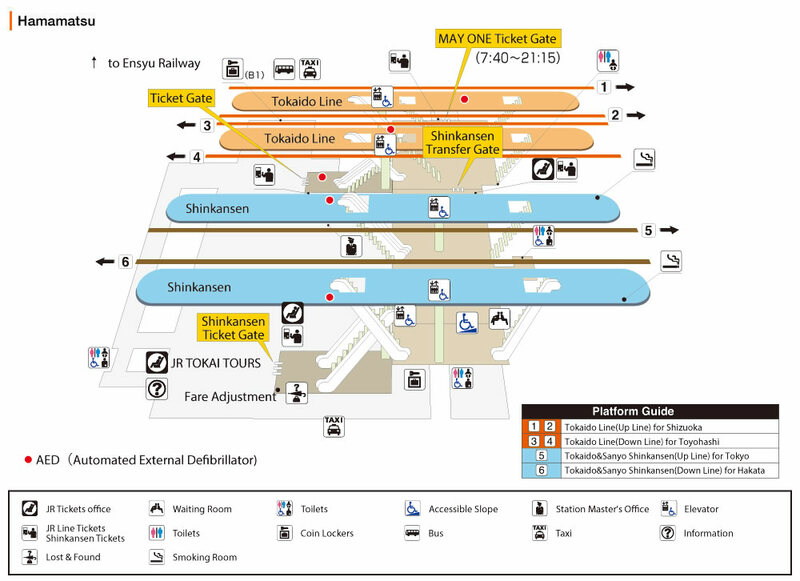 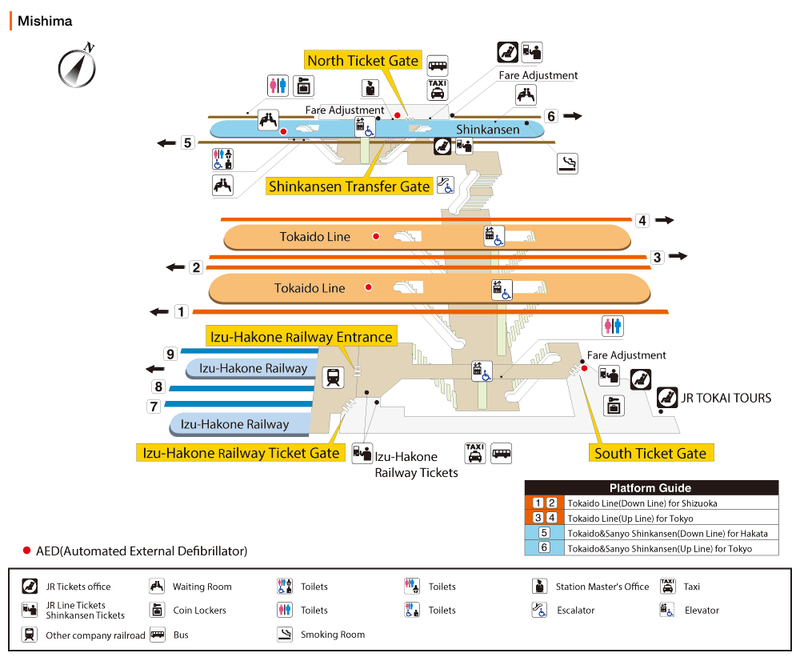 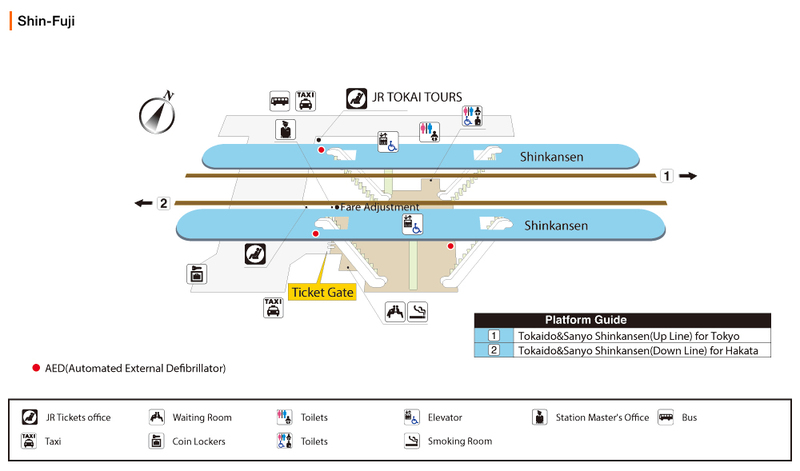 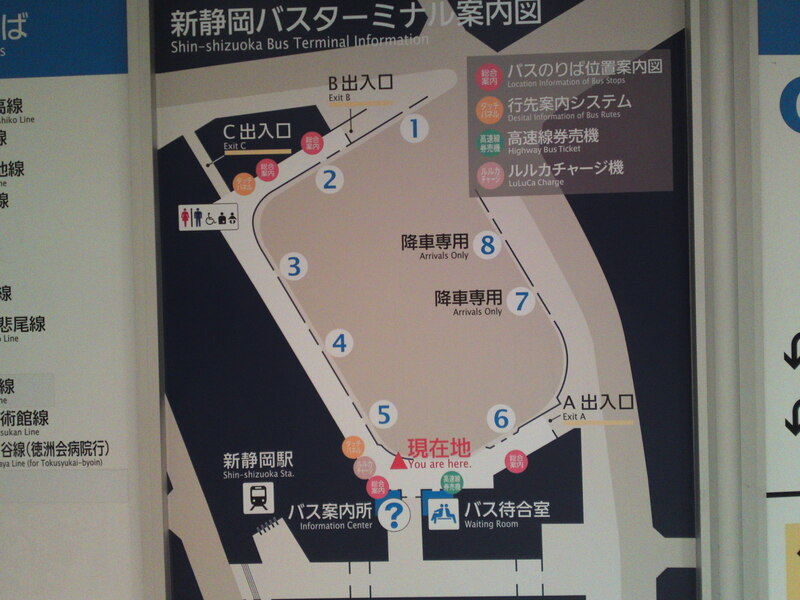 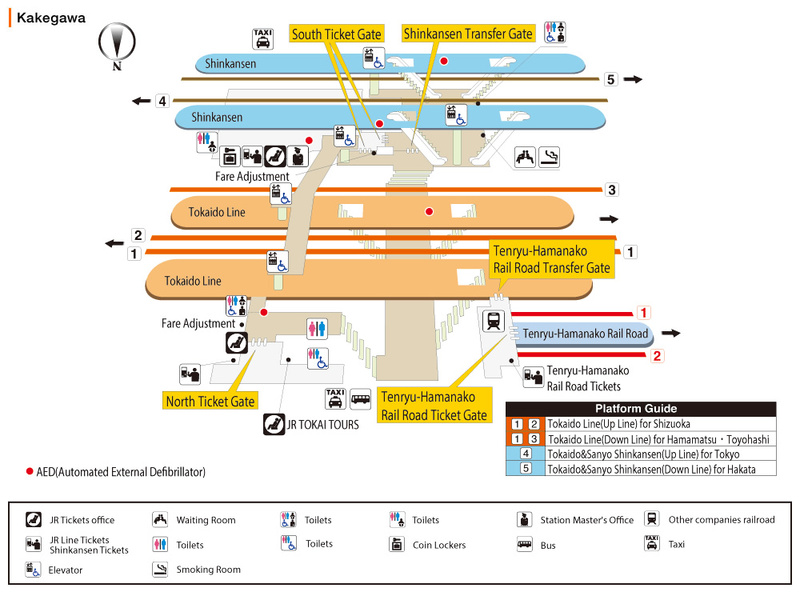 It is located between platforms No2 and No 3 on the Bus Lines Terminal. 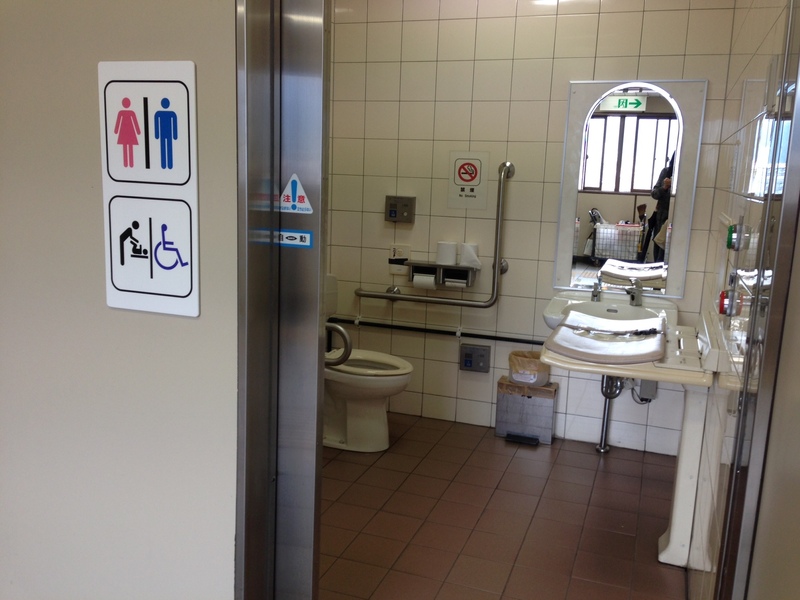 Bus Lines Terminal disabled visitors’ washroom entrance. 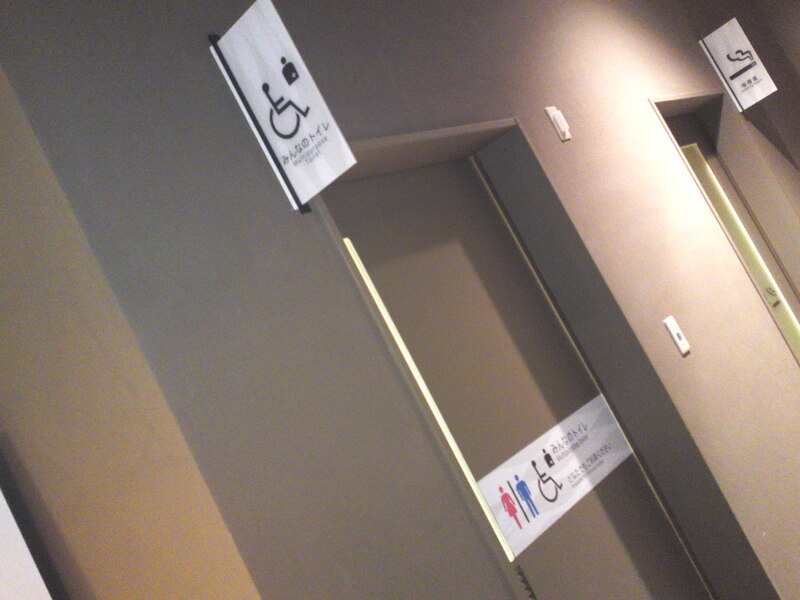 Bus Lines Terminal disabled visitors’ washroom door. 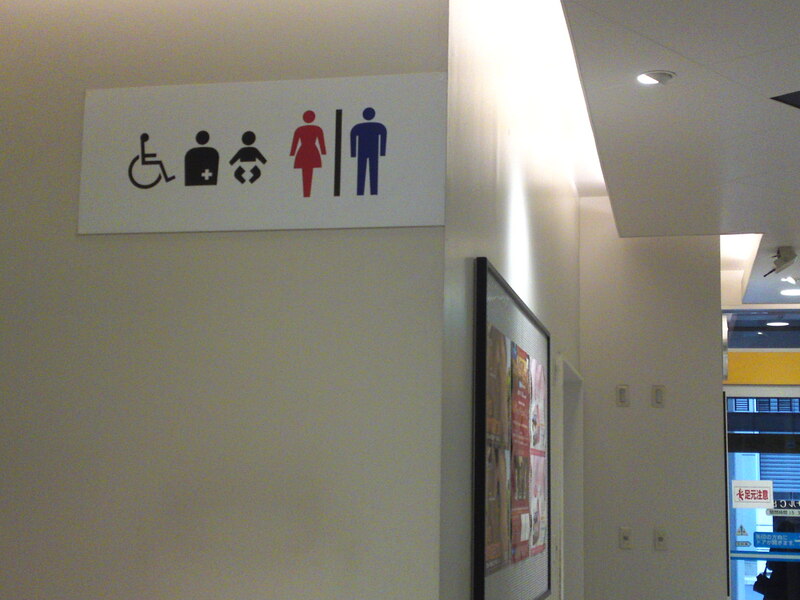 Bus Lines Terminal disabled visitors’ washroom sign. 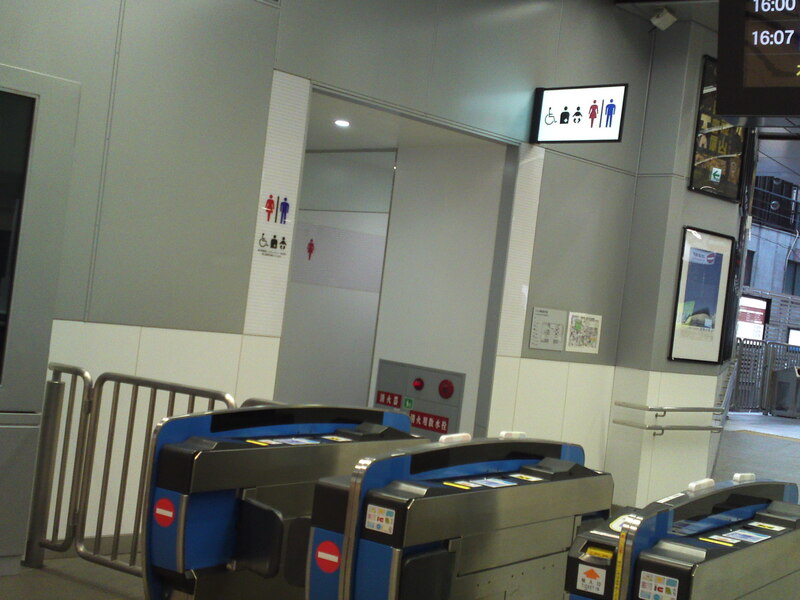 Bus Lines Terminal disabled visitors’ washroom view. 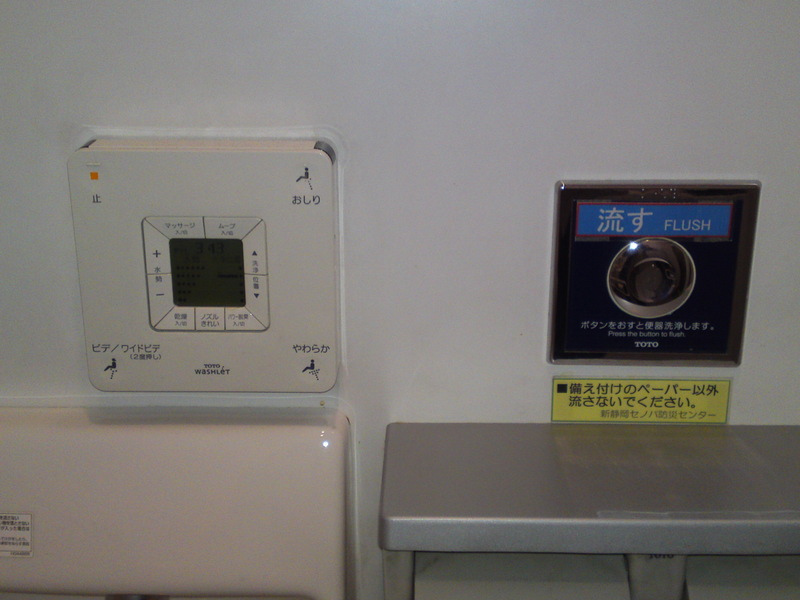 Bus Lines Terminal disabled visitors’ washroom control panel. 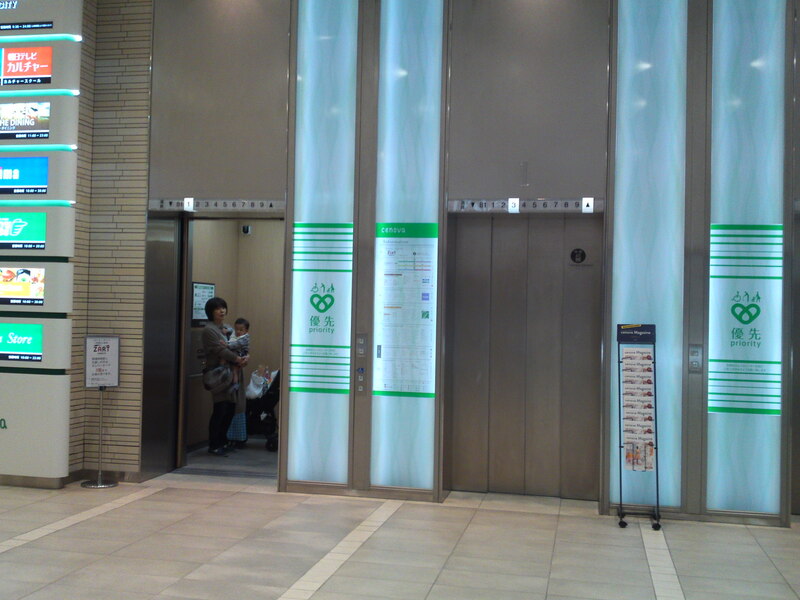 Elevator to all floors on 1st Floor. 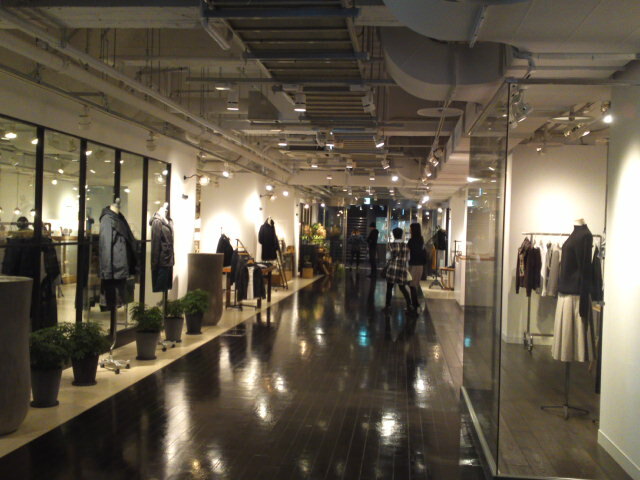 SELECT EYE COMPANY, comprising “qupu meets”, “chauru”, “note et silence” and “MARGARET HOWELL” is located on the first floor of Den Bill in Miyuki Cho, Aoi Ku, Shizuoka City, and is wheelchair-bound customers friendly. 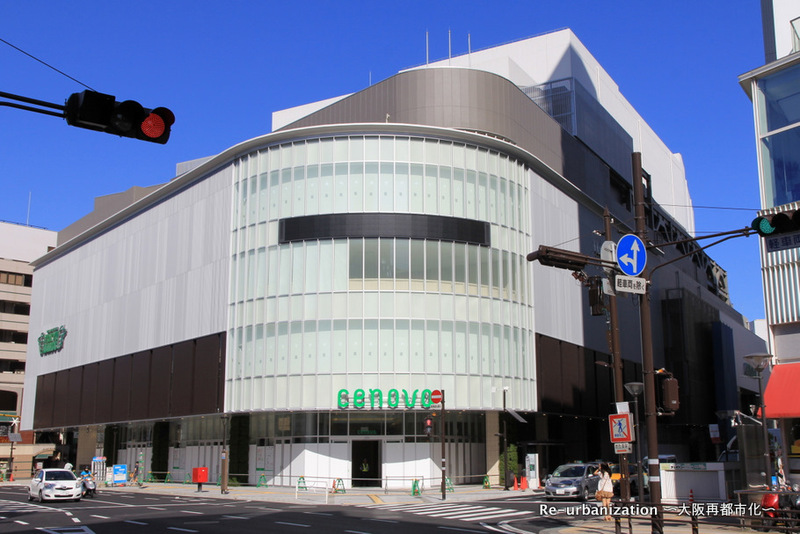 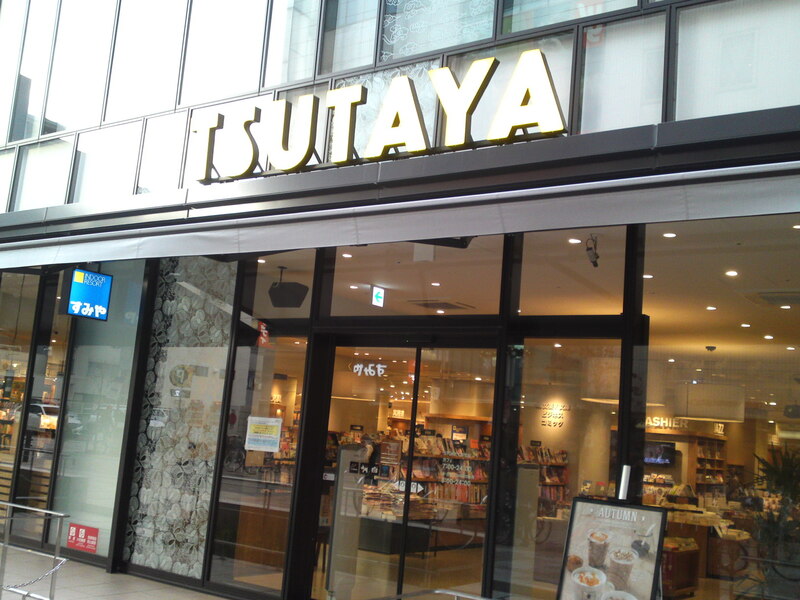 TSUTAYA is located in Shizuoka City, Aoi KU, Gofuku Cho, in front of Isetan Department Store. 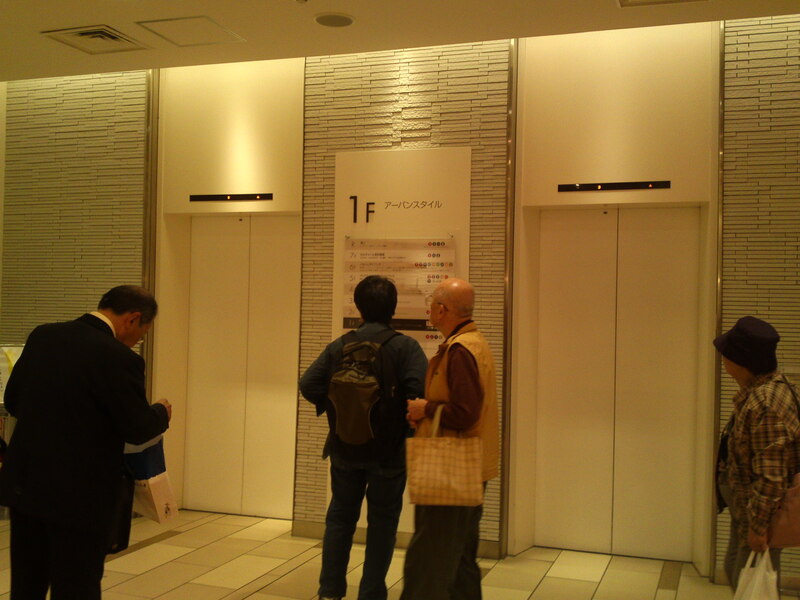 Note there is only one flat access to the store from the pavement. 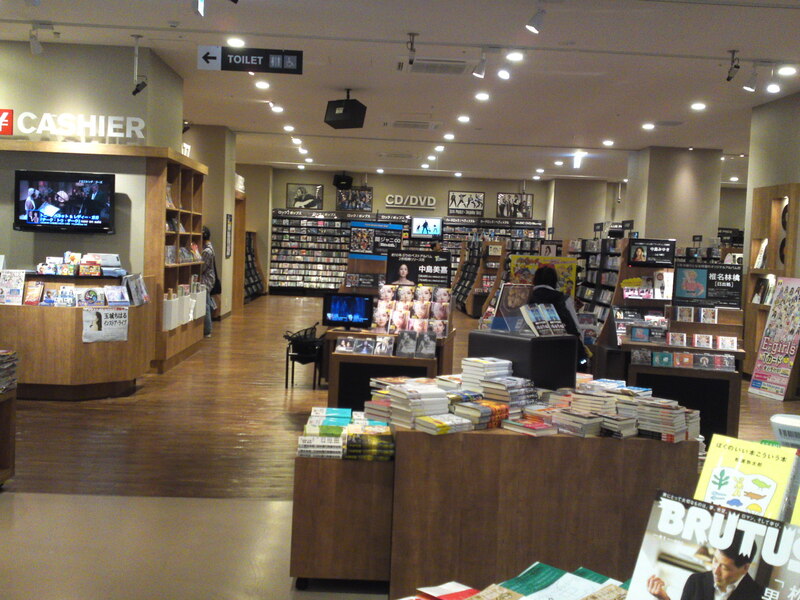 It is a large bookstore.